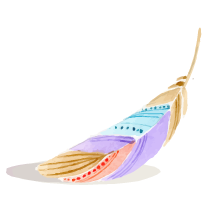 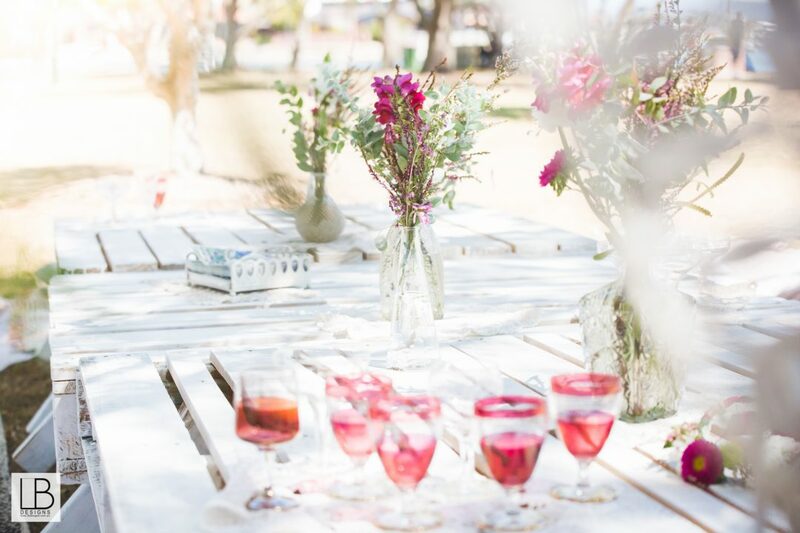 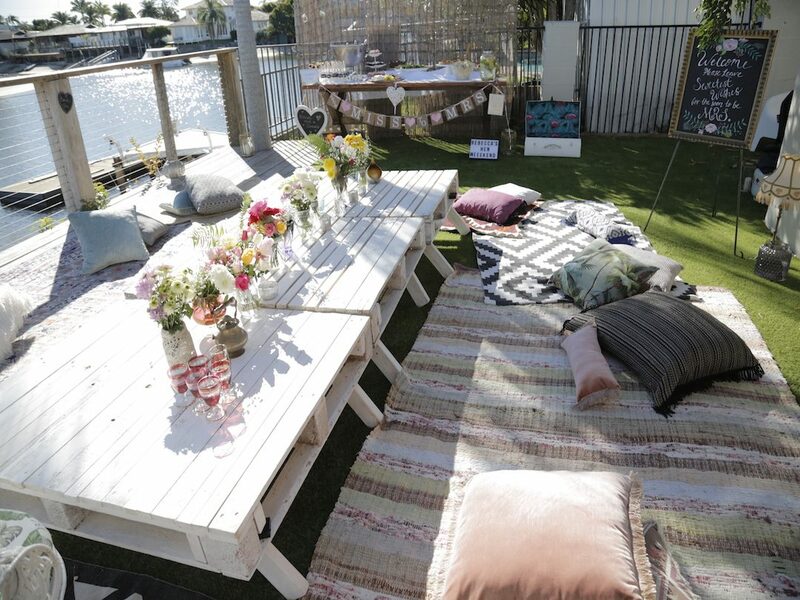 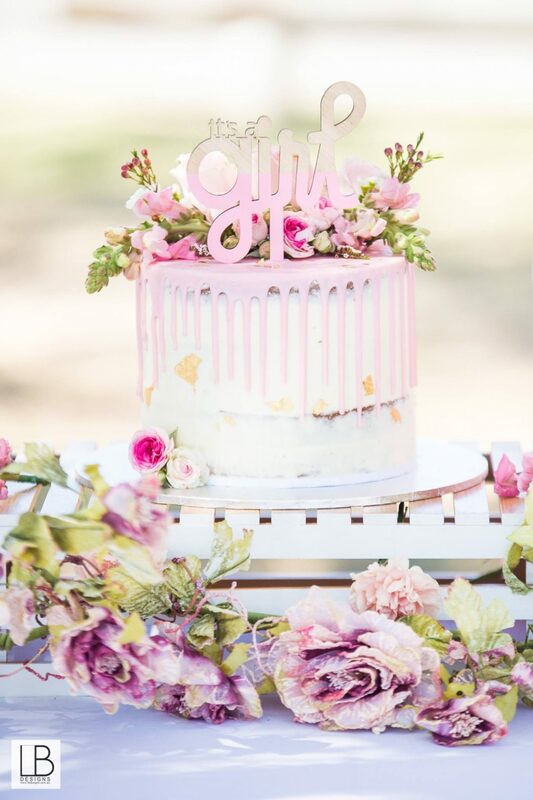 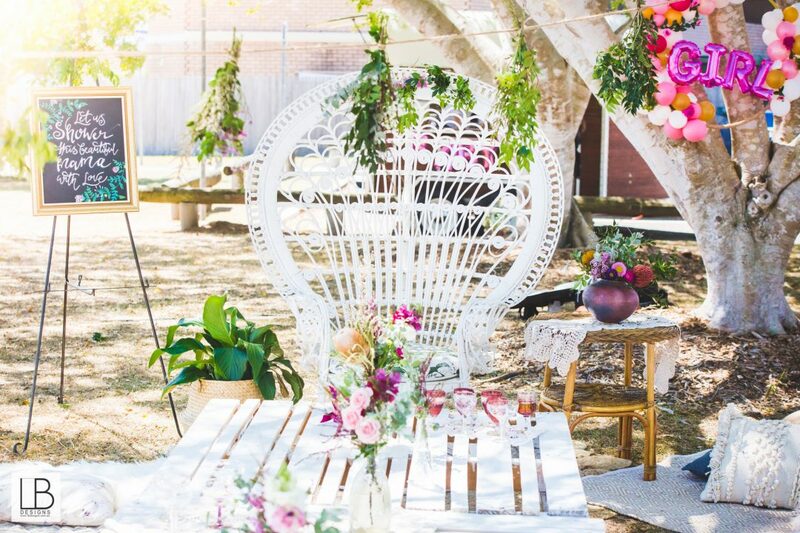 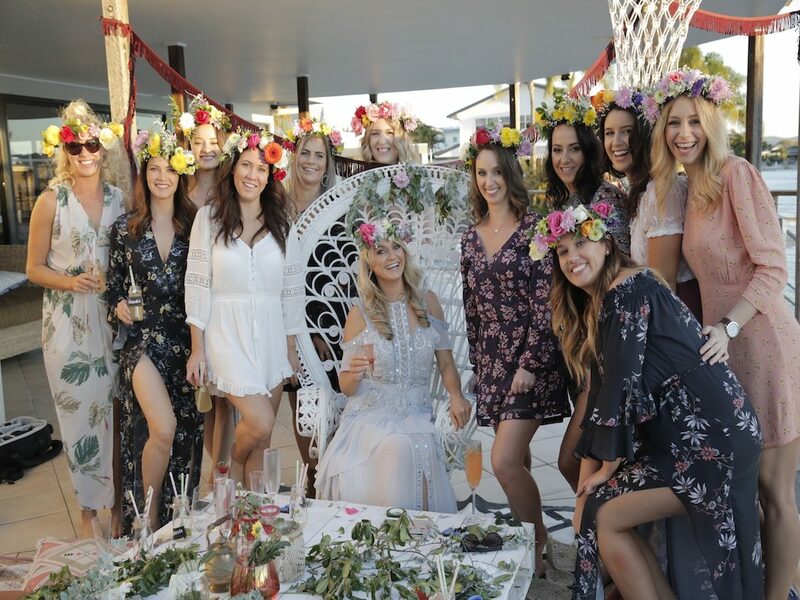 We were super stoked when we were contacted to create a gorgeous boho babes set up for 15 lovely ladies who flew in all the way from Adelaide to celebrate their hens event. 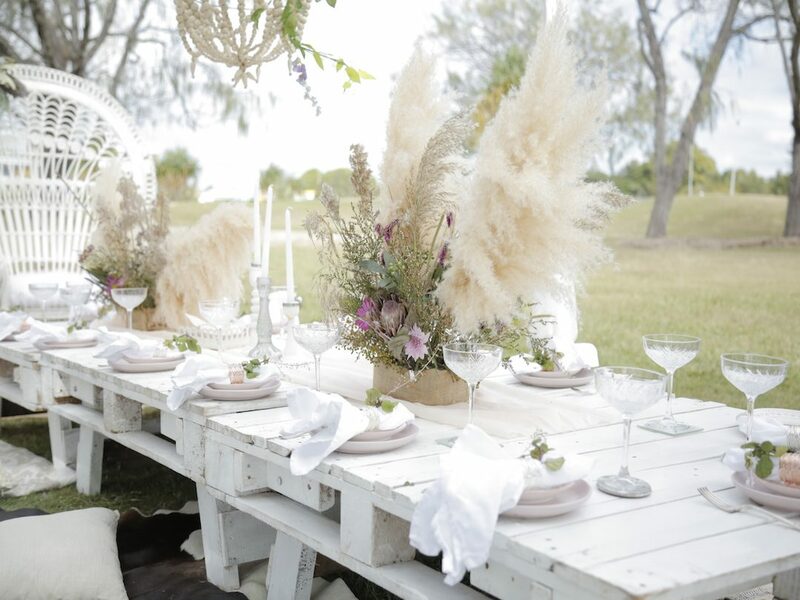 We spared no expense on the florals and used our very own signature NEW Spanish imported pampas grass and our very own boho bead chandelier arbour with wrapped florals and white sheer fabric. 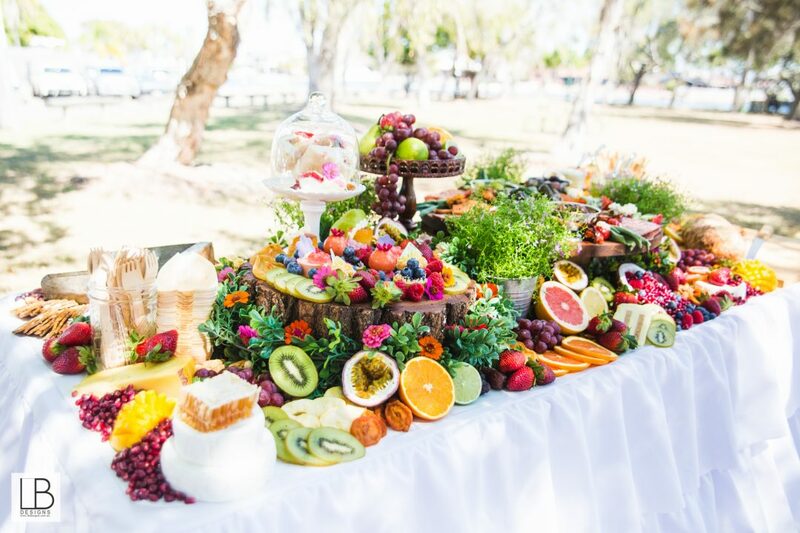 Catering was taken care of by the talented Monique from Deluxe grazing who created a divine spread which all the girls DEVOURED! 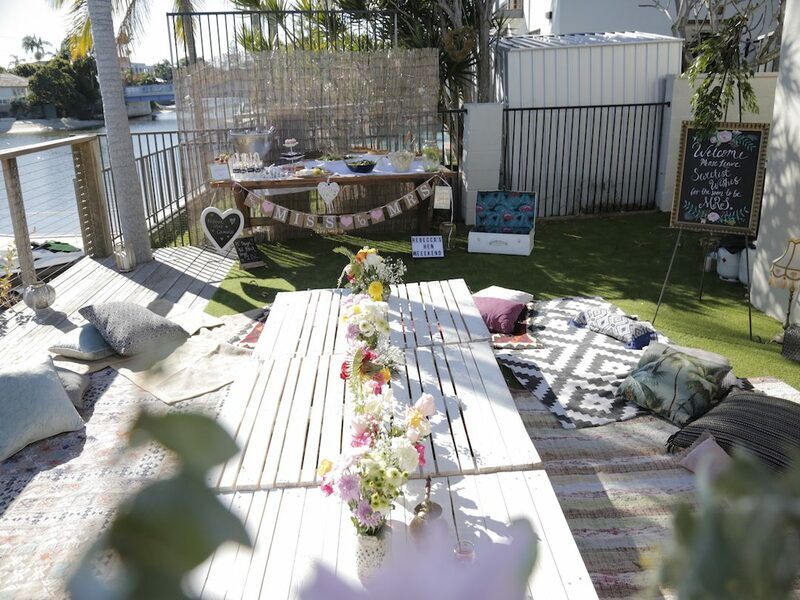 We had so much fun setting up at this new location on the Broadwater and although the wind picked up a little we found a little private nook for the girls to celebrate the afternoon away. 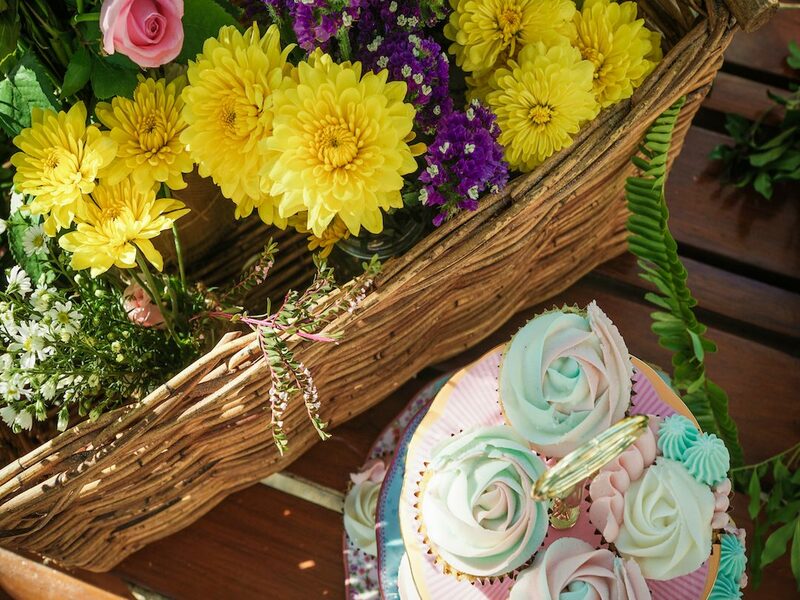 Jacqueline’s Baby Shower on Steroids! 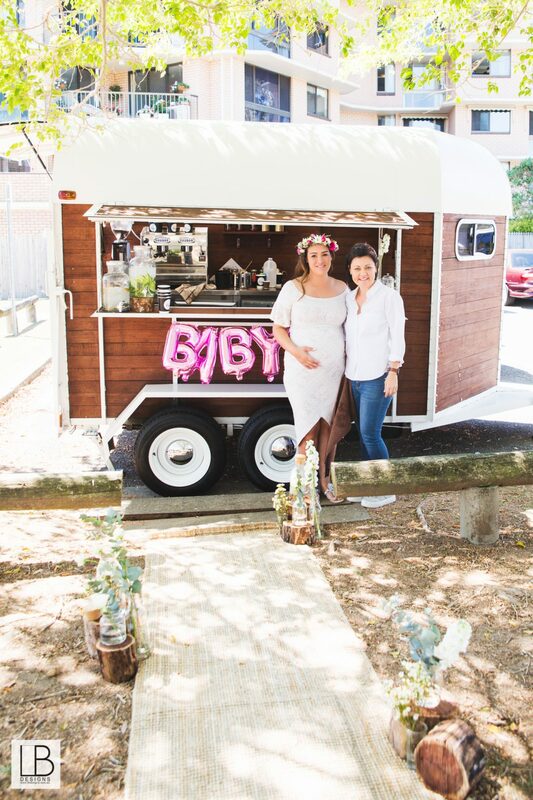 The lovely mama to be was expecting her 3rd Bub and she decided to treat herself and go all out with a Bang!! 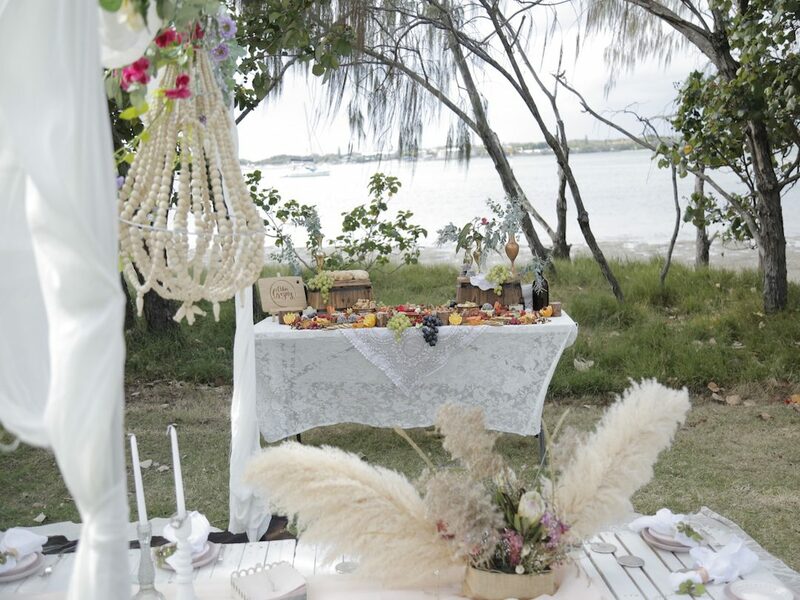 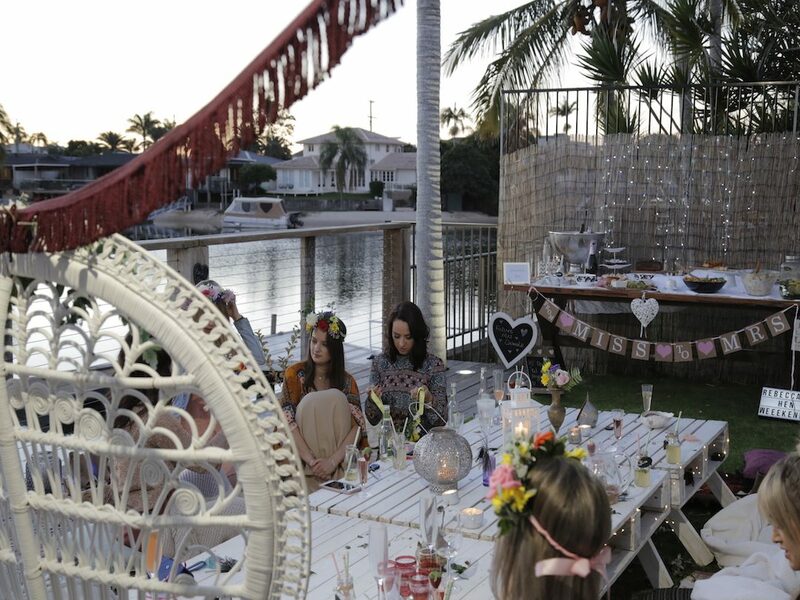 We created a magical fairytale picnic for her and 20 of her closest girls at a little quiet gem of a park at Paradise Point. 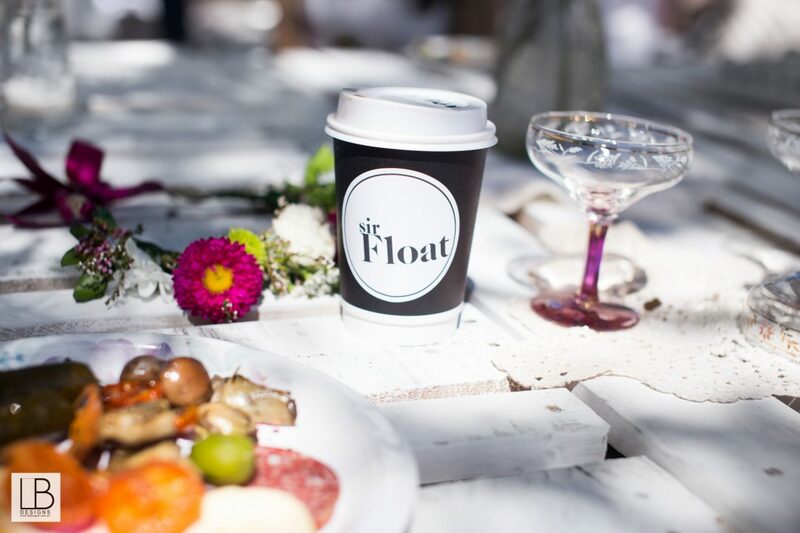 Grazing spread was supplied by Scrumdiddliumptious Catering and Sir Float was hired to whip up some delicious coffee’s and drinks for the guests. 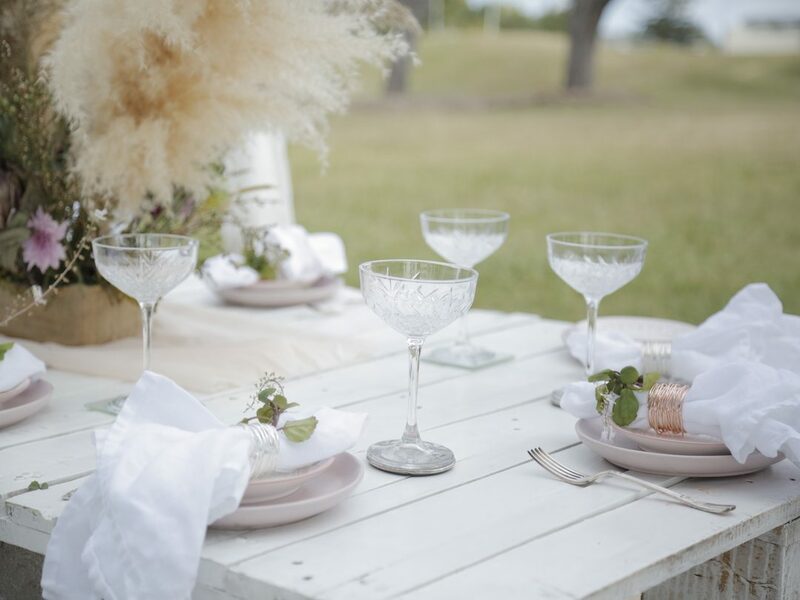 Photographs were captured by the super talented Lucinda from LB designs. 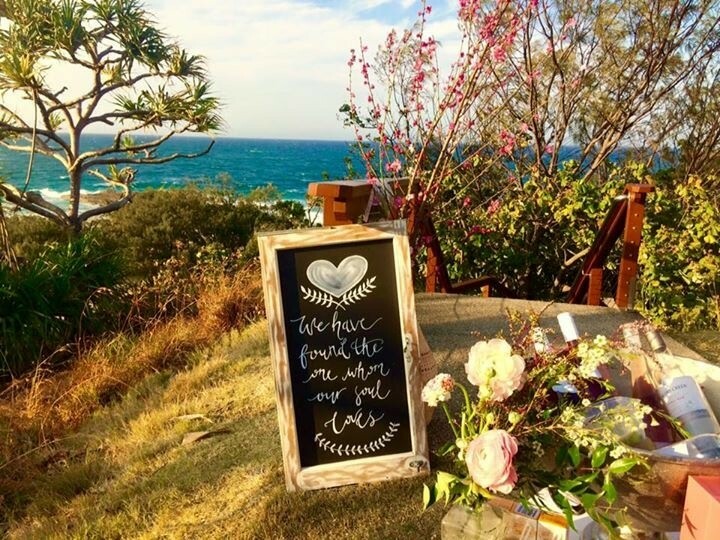 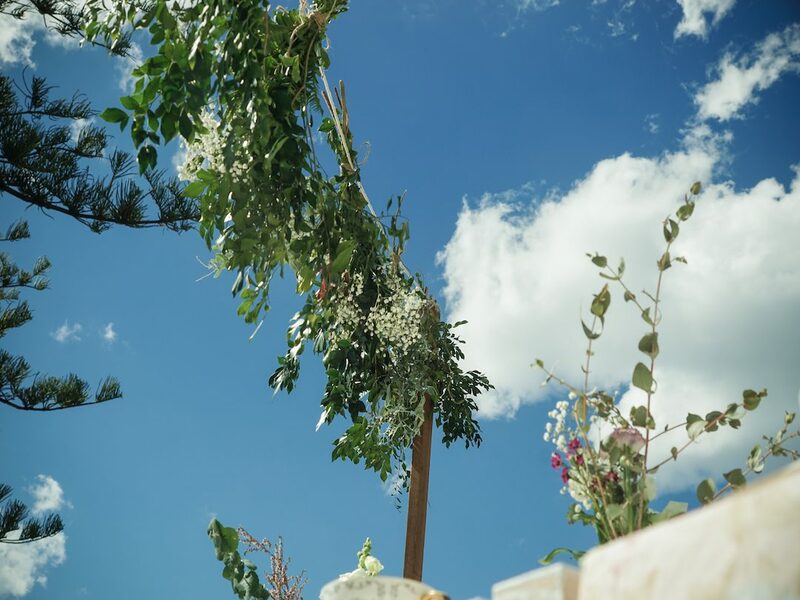 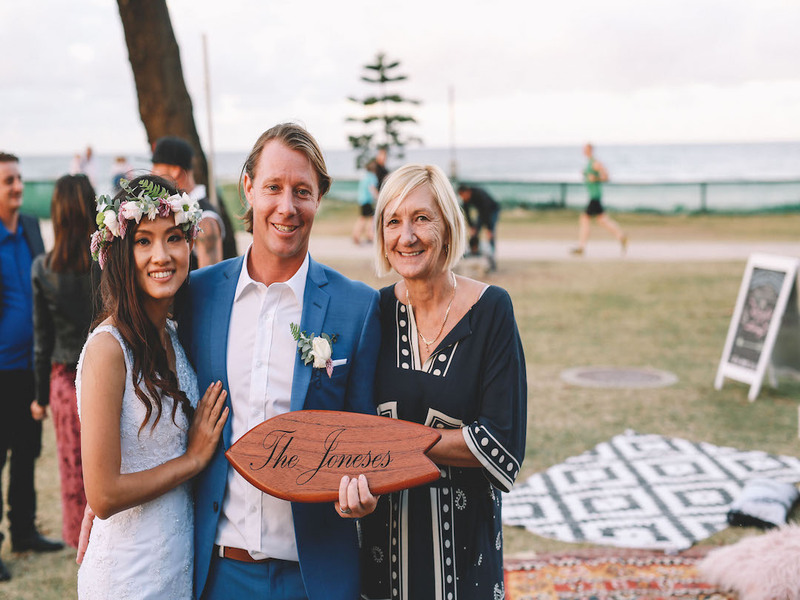 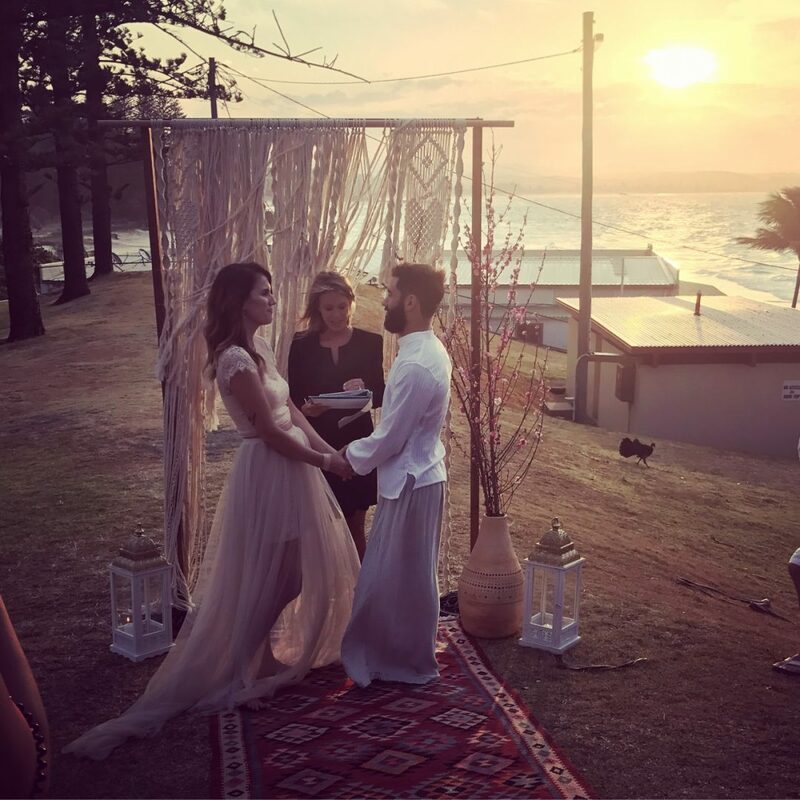 We were so blessed to create a beautiful romantic sanctuary for the gorgeous couple to tie the knot overlooking Snapper rocks on the Gold Coast a few weeks back. 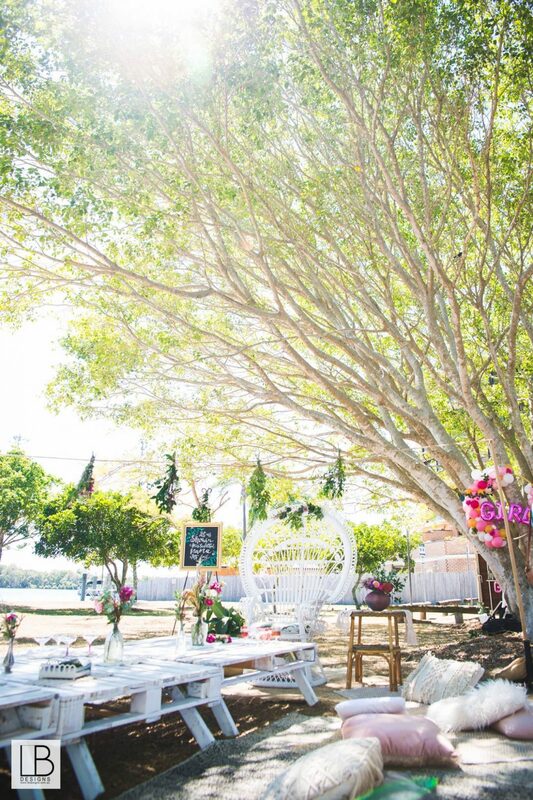 Channey and Joao met at work and 3 months later they were married! 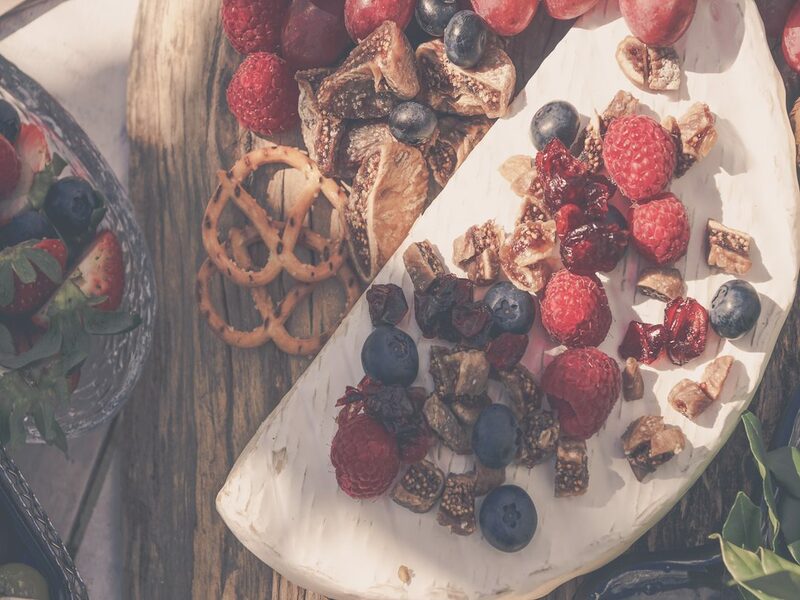 Talk about love at first sight. 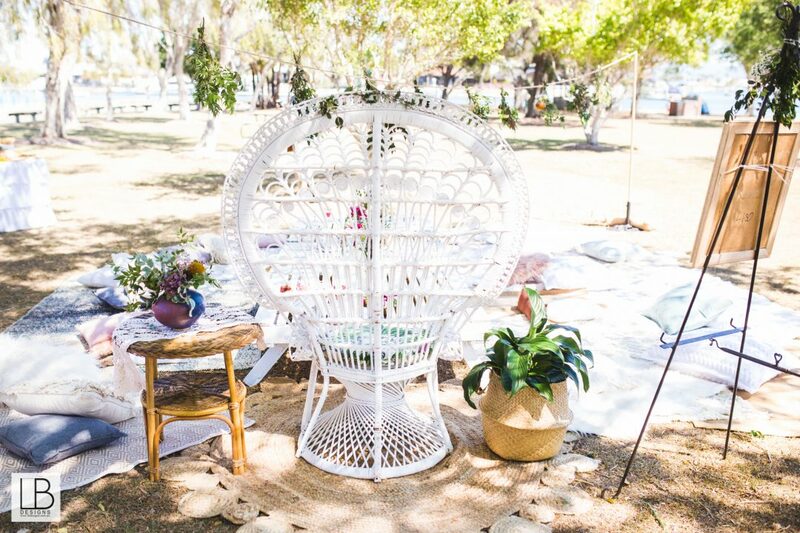 We created an elegant affair on the hill for 40 guests of all ages. 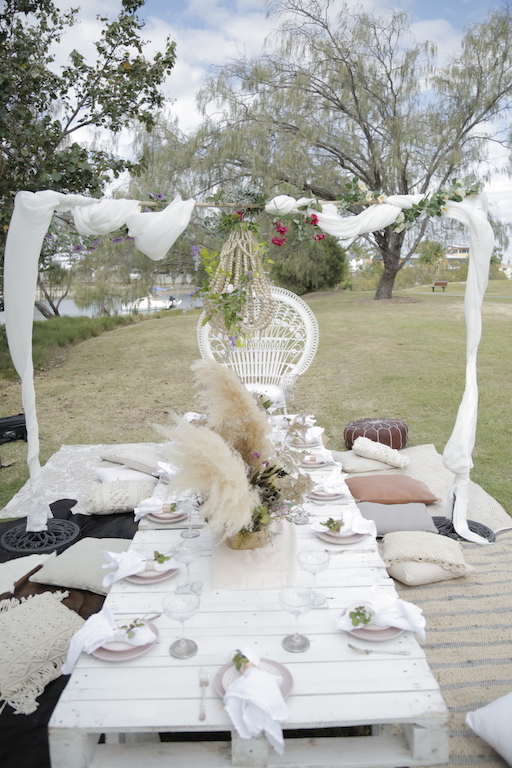 We had a little wind to contend with but managed to make it just as magical. 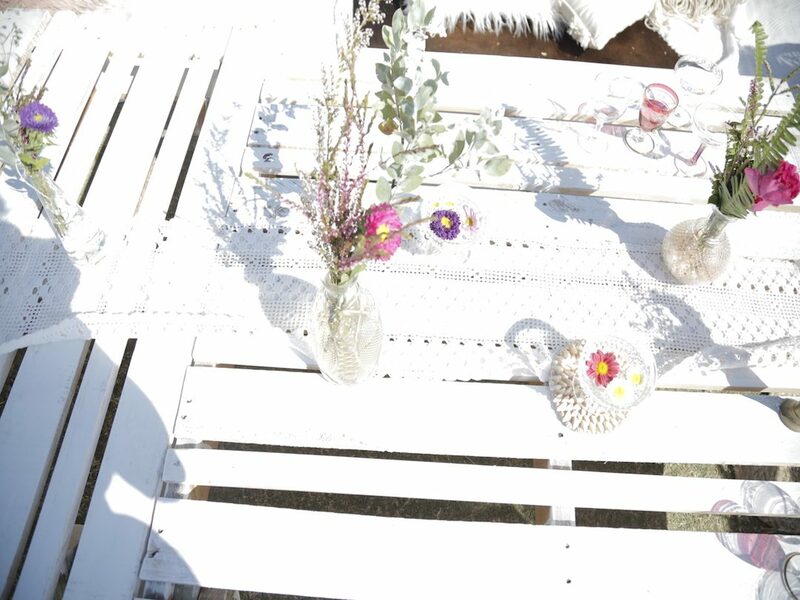 We used our gorgeous boho set up with our signature flower line which created that extra piece of wow for the day. 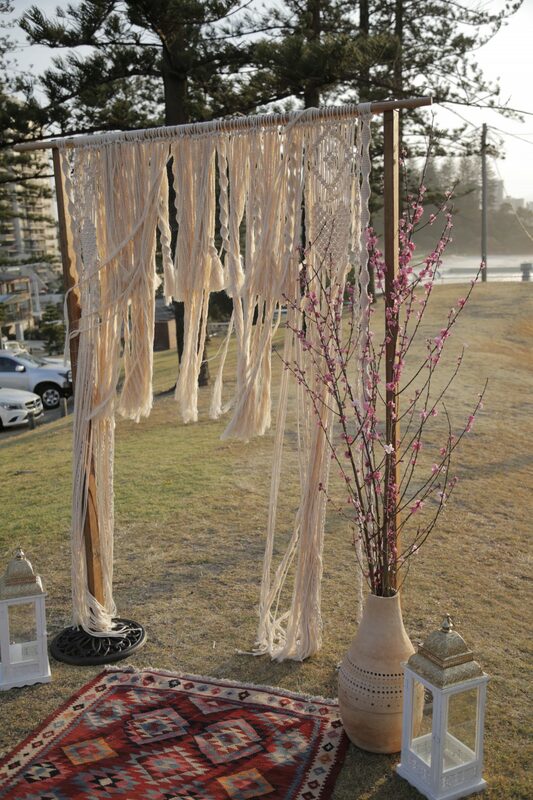 We also created a simple yet stylish ceremony with our Moroccan Minx aisle runner with our hand made Turkish Macrame arch, freshly picked cherry blossom and lovers lanterns. 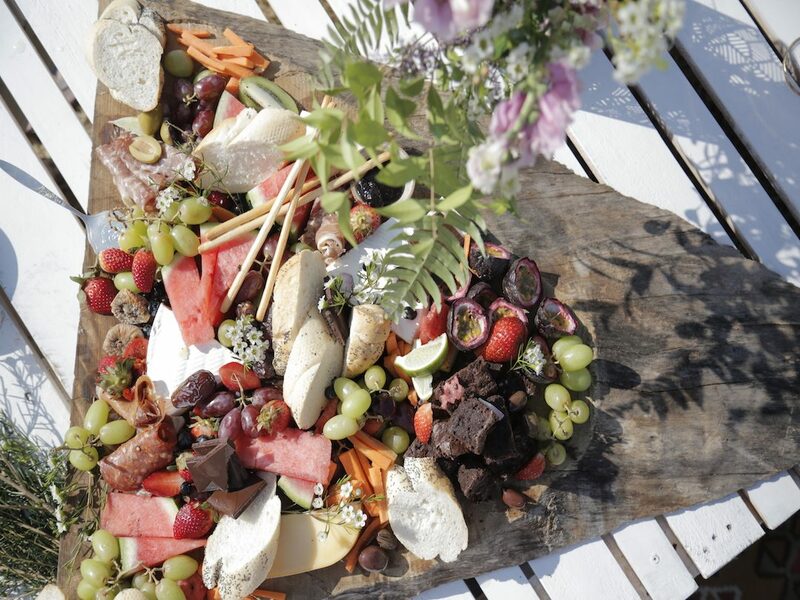 Catering was done in house by Channeys beautiful creative sisters using some of our rustic grazing boards , what an amazing job they did! 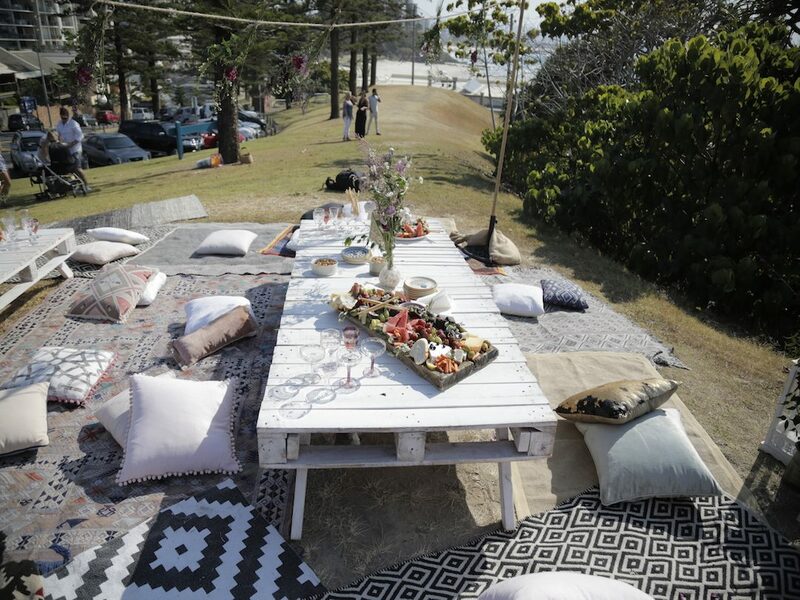 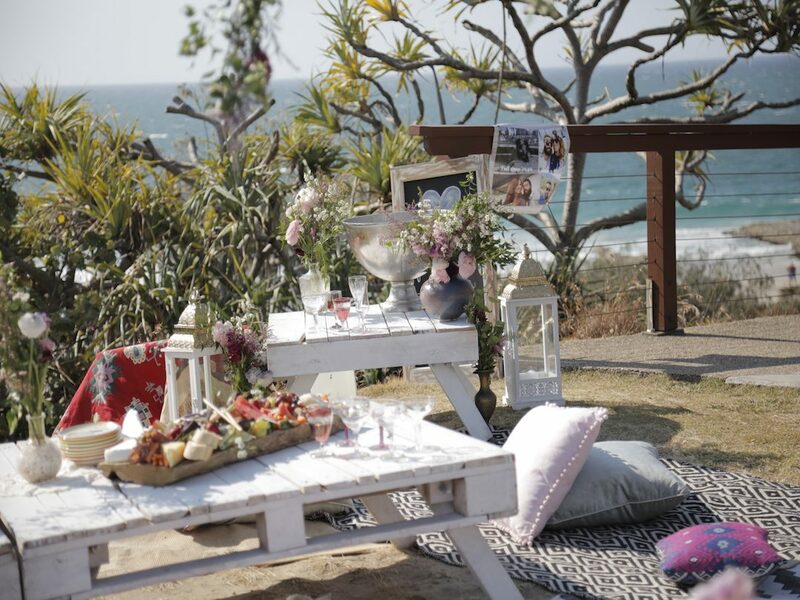 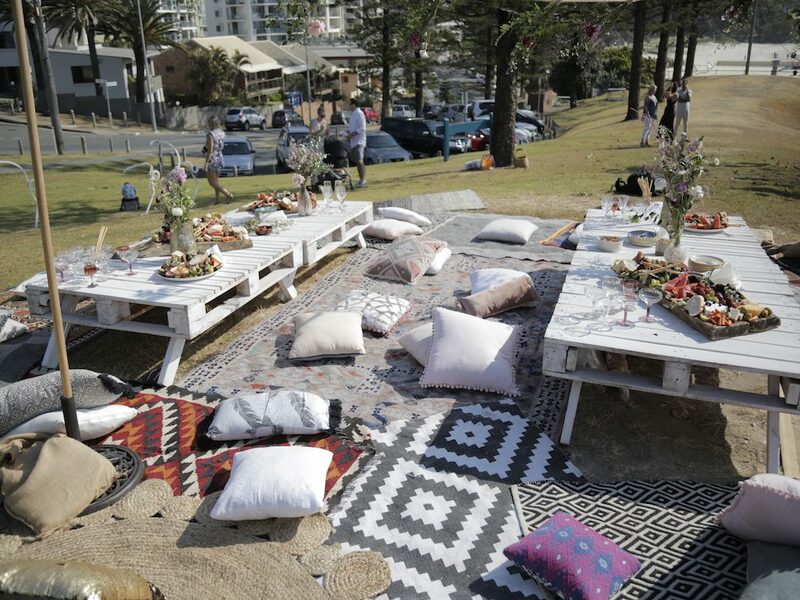 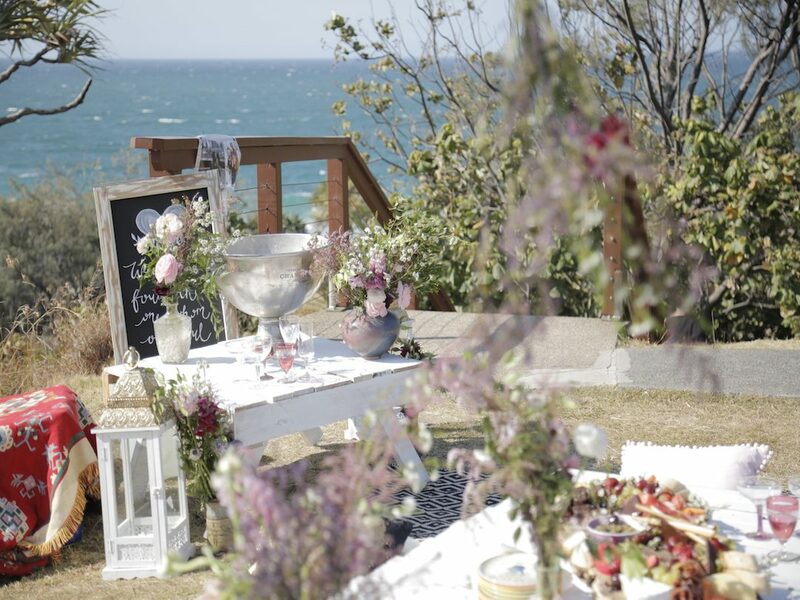 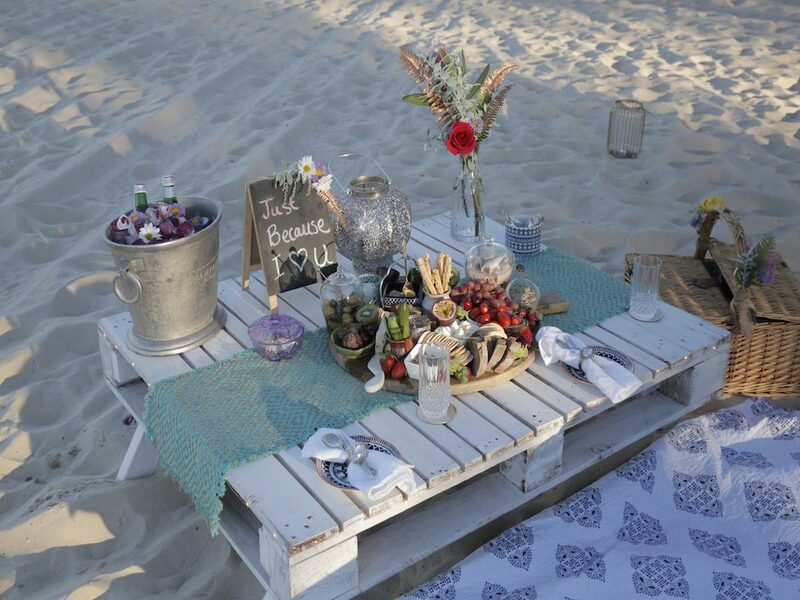 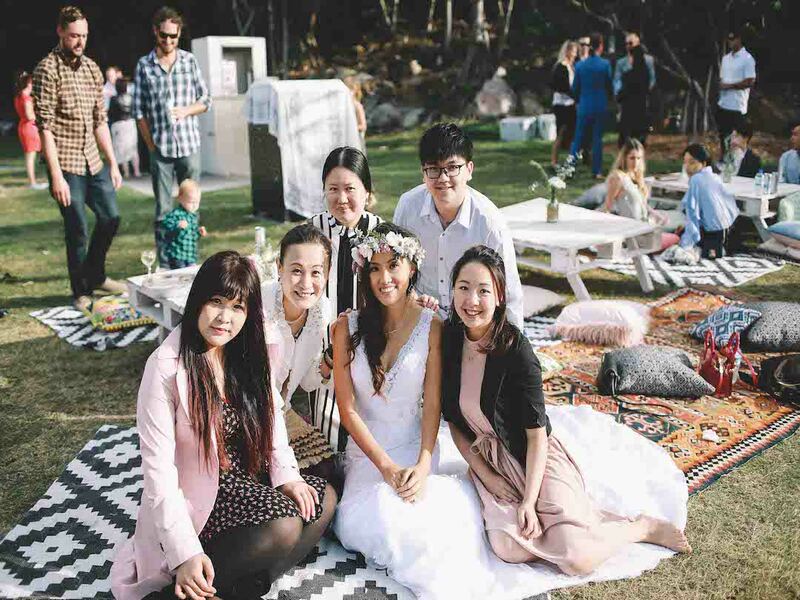 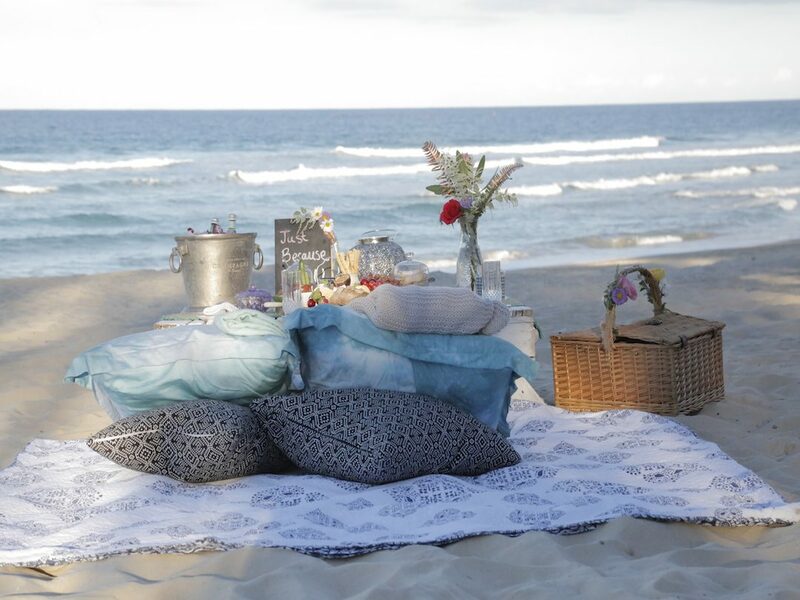 We were hired to set up a surprise Lux ladies twilight picnic for Candice and her girls at Burleigh Hill recently. 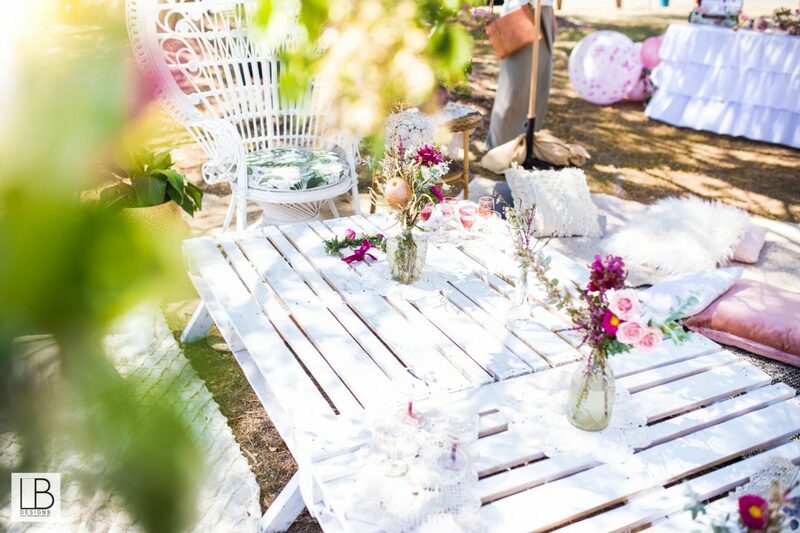 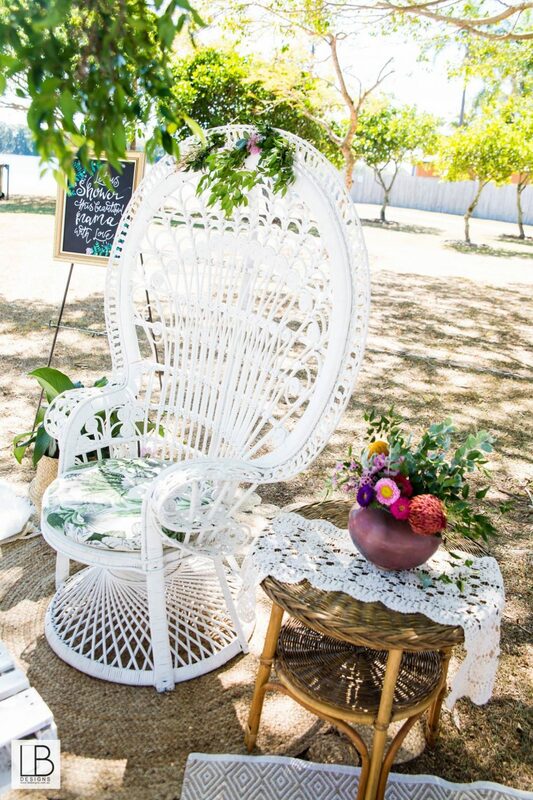 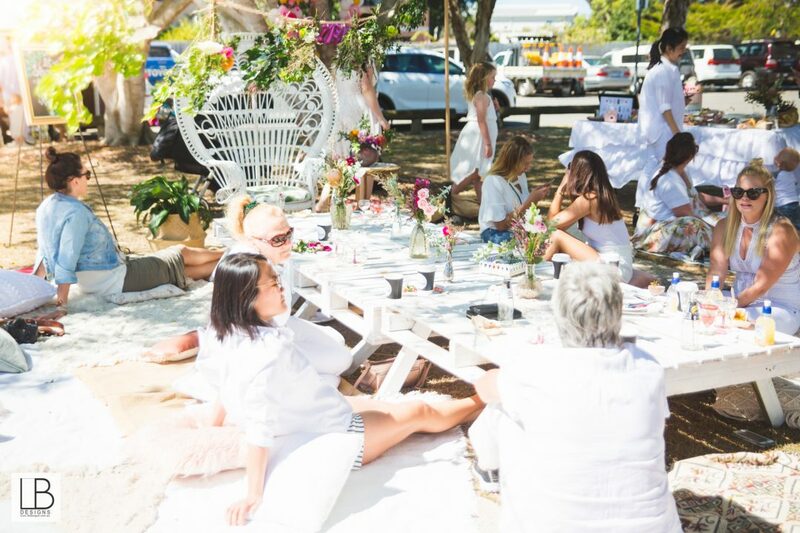 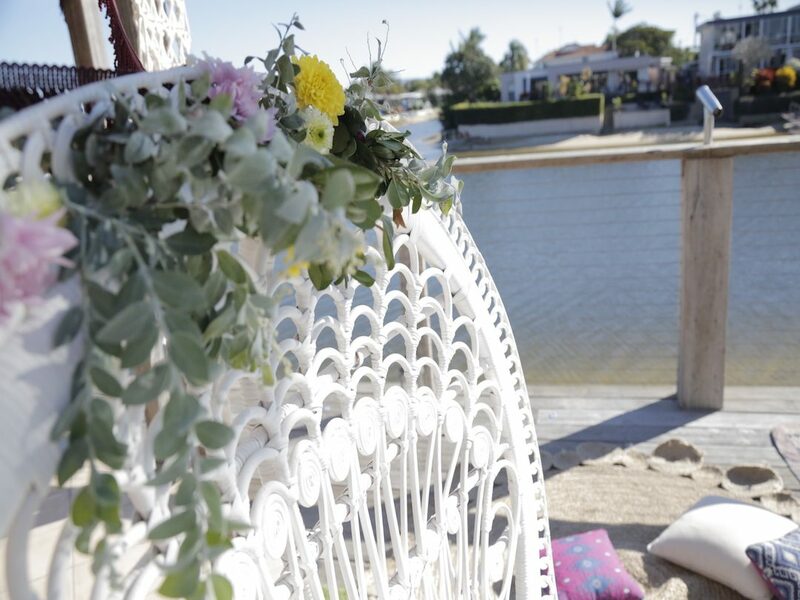 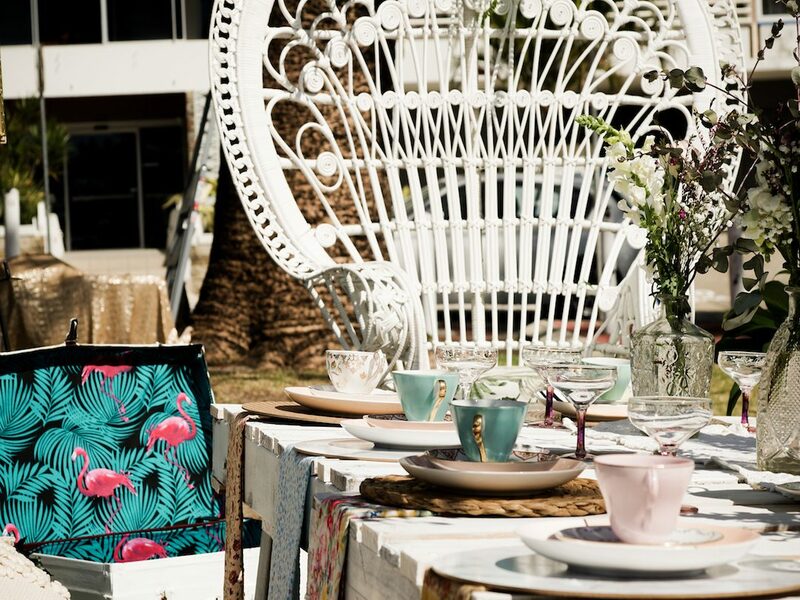 We unveiled our gorgeous floral line creation and used our signature petal chair to create a glamorous picnic set up for the ladies dressed in white. 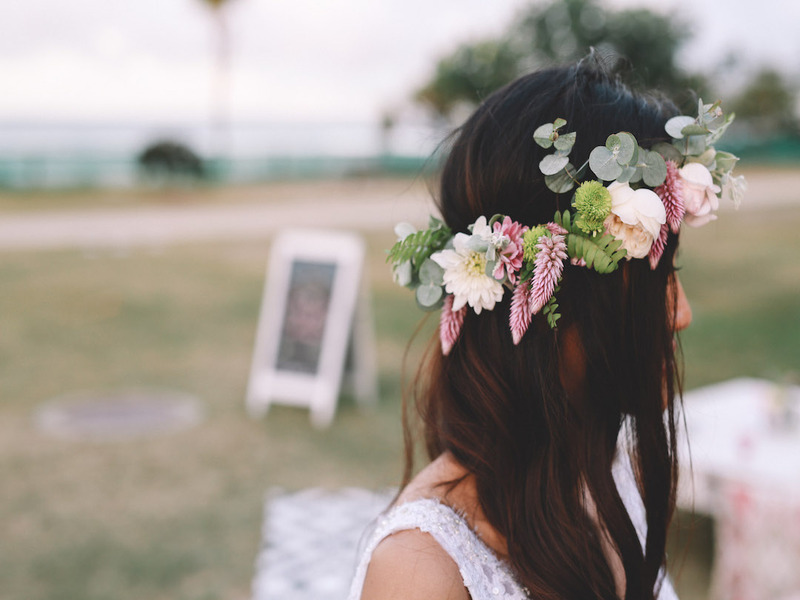 We even threw in a stunning custom Klara’s House flower crown for the blushing bride to be she was over the moon! 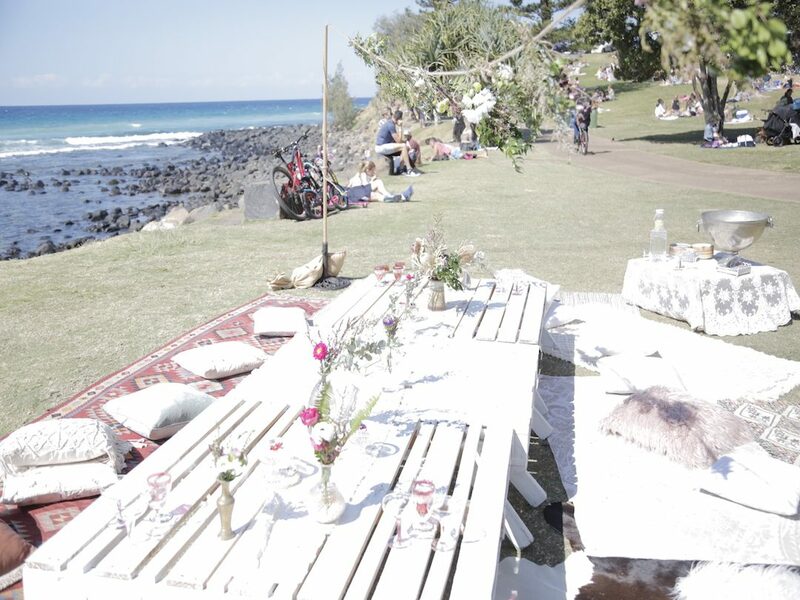 The picnic was quite the tourist attraction with lots of passers by taking photos of the beautiful piece of art. 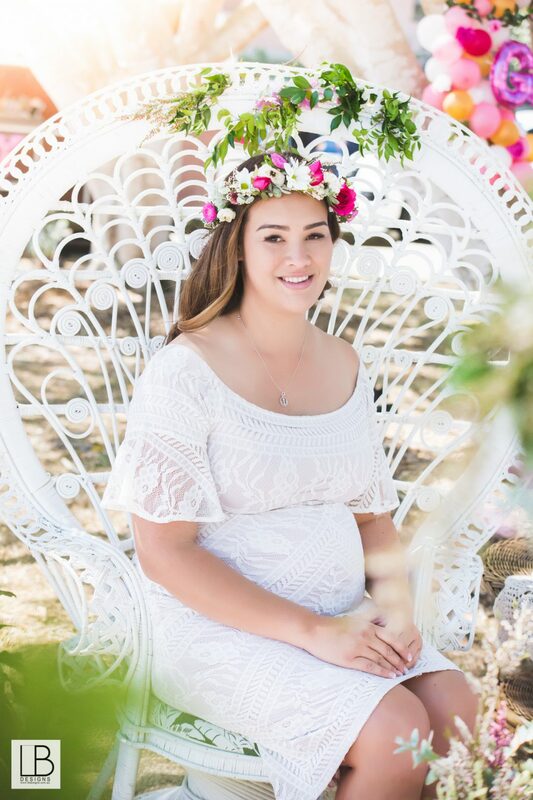 We were so thrilled to create a classy high tea set up for the beautiful mama to be Paulina. 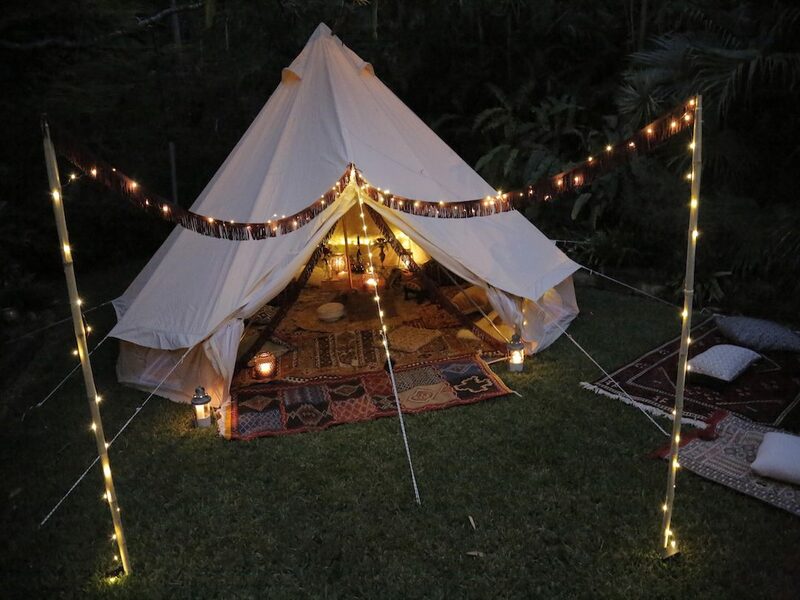 Klara’s House spared no expense on setting up the most memorable shower for her close friend of many years. 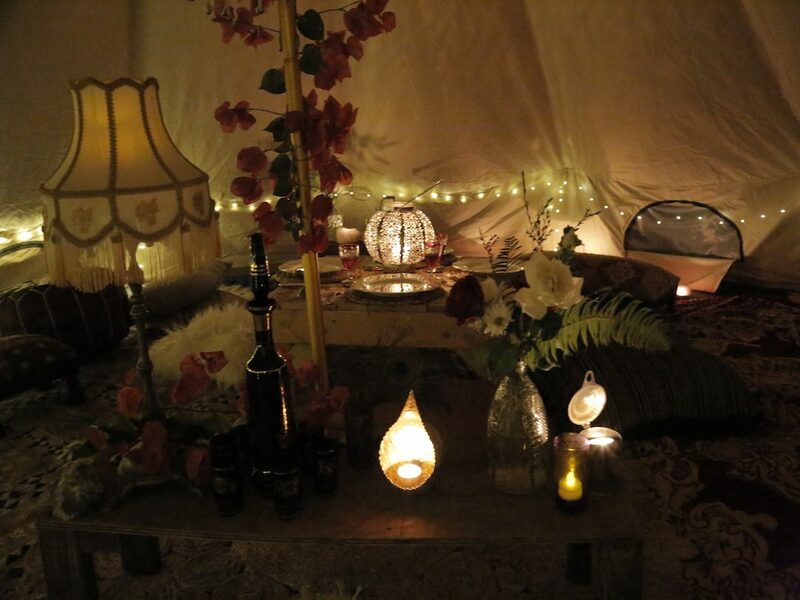 We went all out and why not! 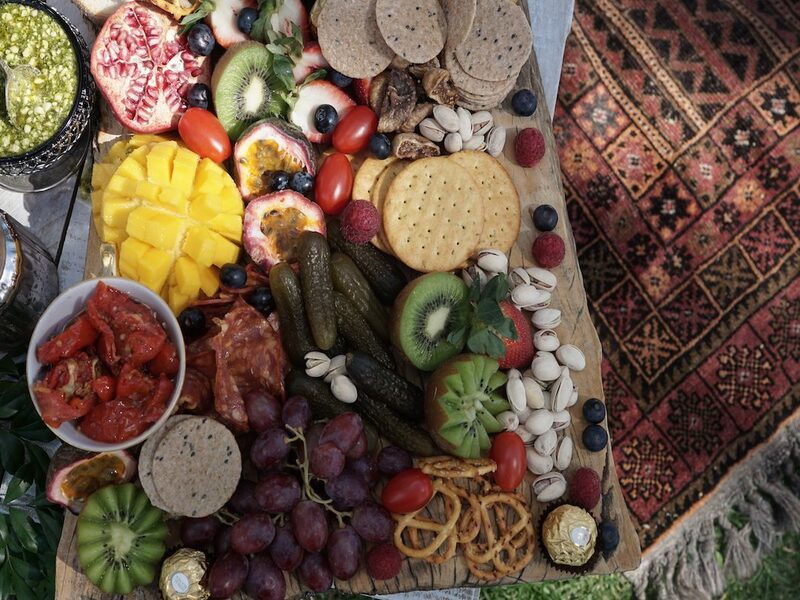 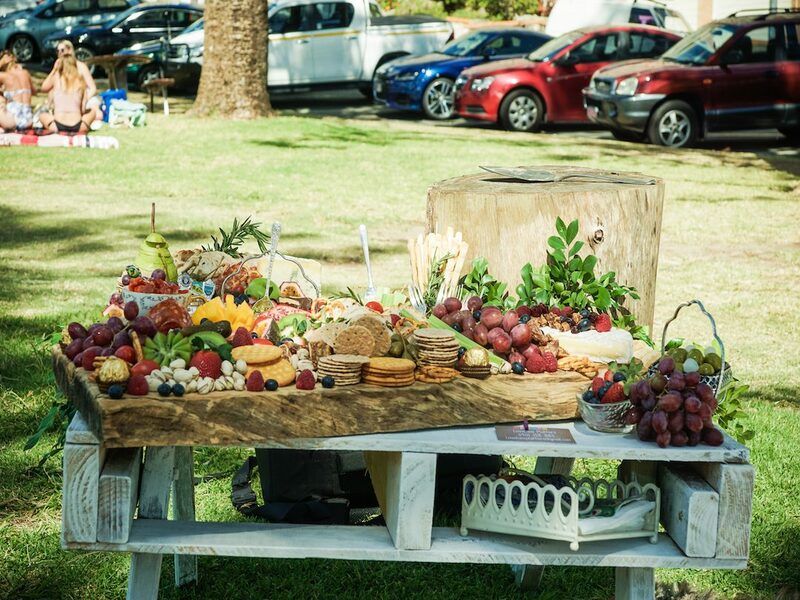 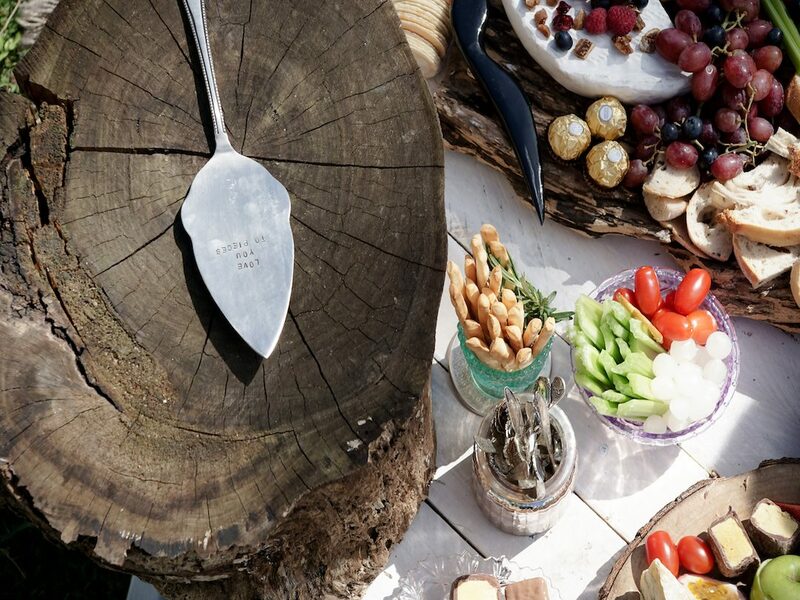 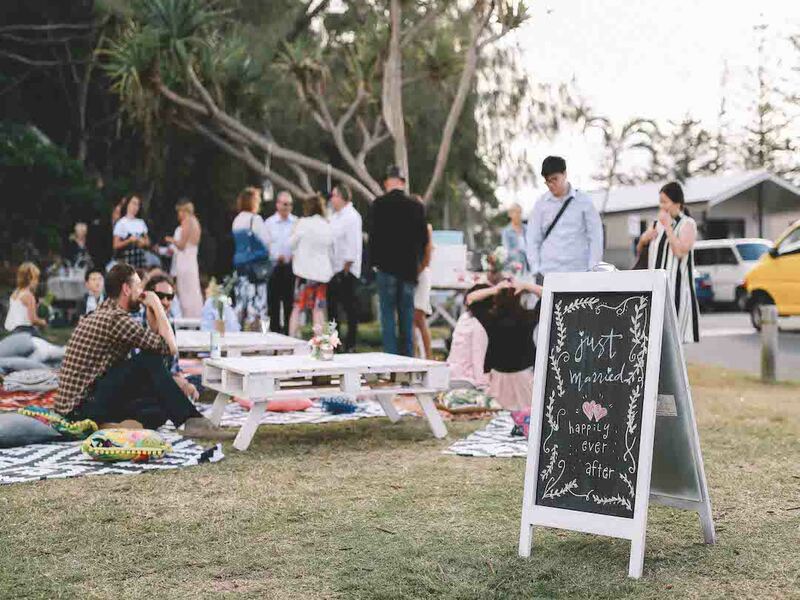 Delicious grazing boards were supplied by our Fav caterer Jess from @lovelanelatters. 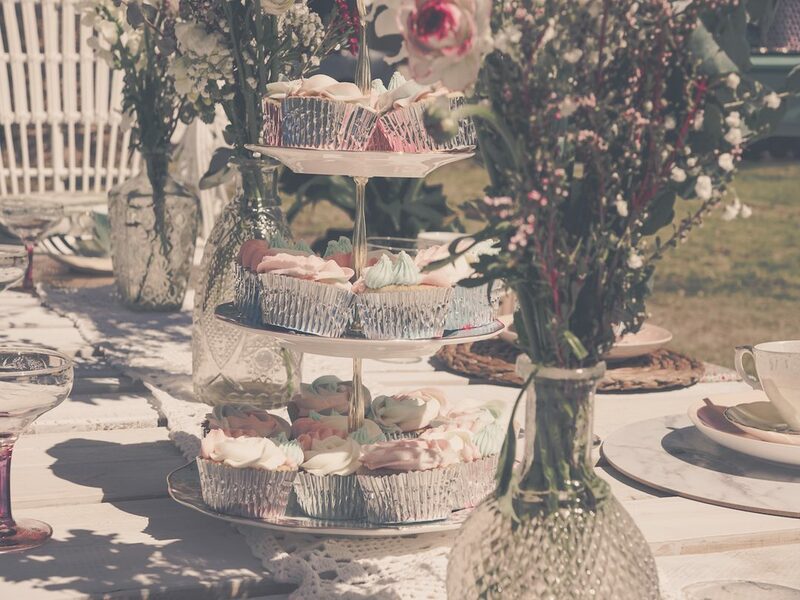 We devoured delicious cupcakes by @thecupcakemamma and the mouth watering naked cake by @cakesbycasey. 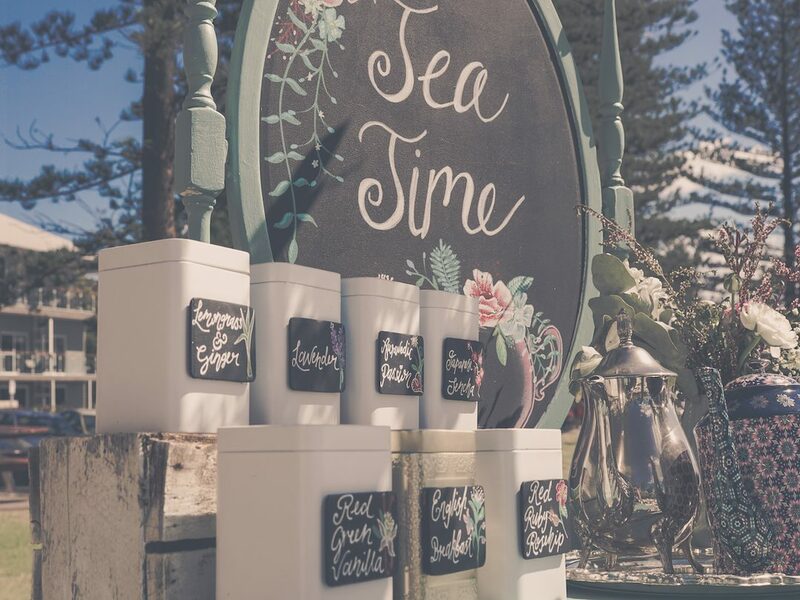 If that wasn’t enough we also indulged in some Piper champagne and sipped on some Ruby Rosehip T2 tea in my Grandmothers china in the afternoon sun. 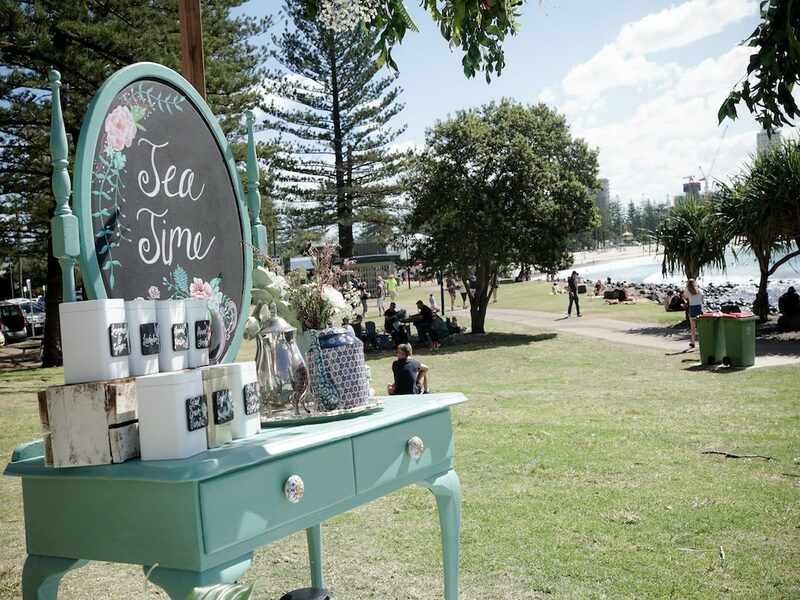 We used our most prized bespoke bohemian rug selection and Lux ladies cushion collection as well our our featured daisy the Dresser to host our little T2 custom tea containers and mis matched china. 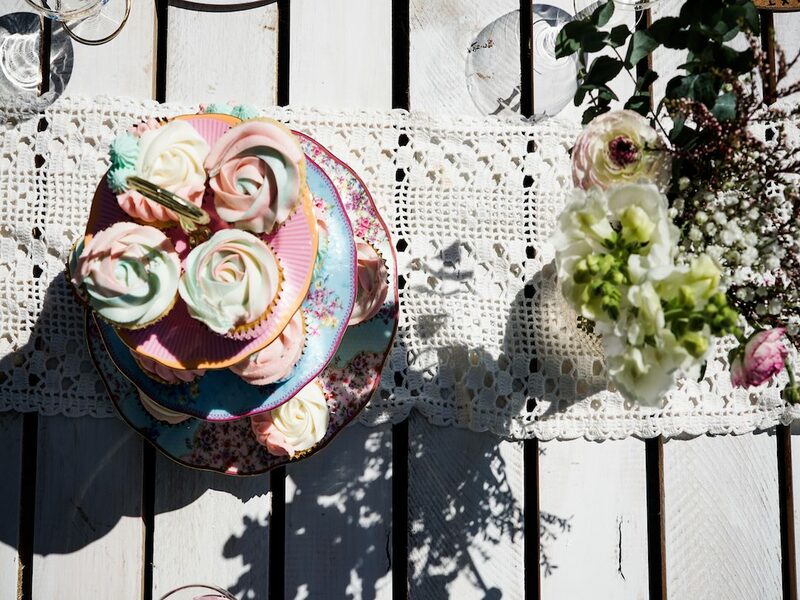 We also used our Klara’s House hand made pretty cotton napkins which blended in with our selection of placemats. 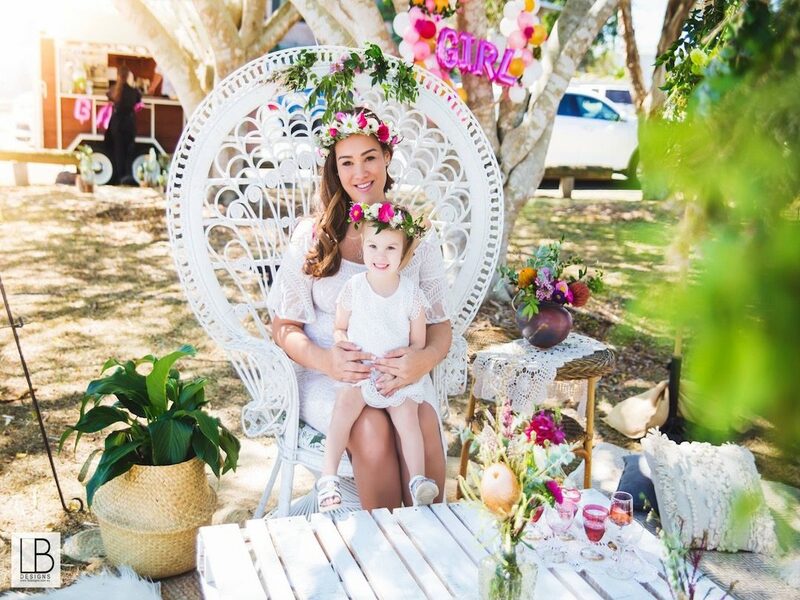 To top things off we then sat down to a fun flower crown making class ran by Klara and we got to rock our creations in the park, get some pictures and feel like queens for the afternoon. 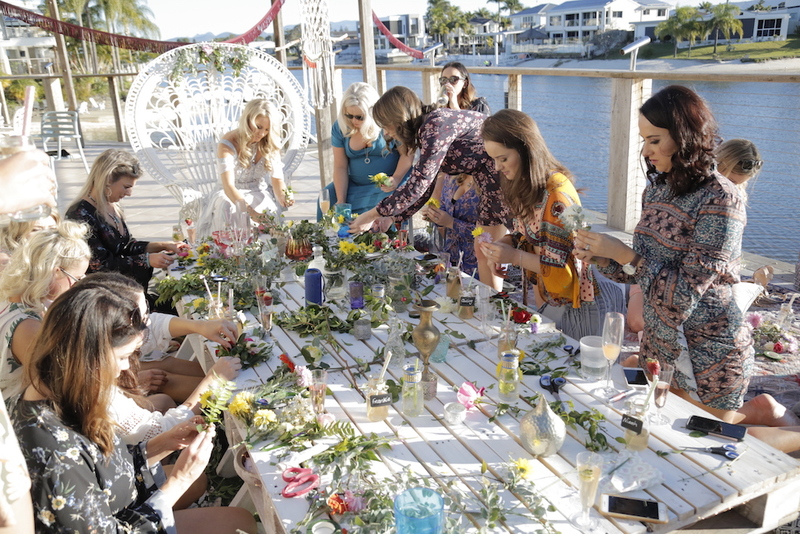 I was so delighted to throw this special afternoon for a dear friend and get to experience the magic of my own creation. 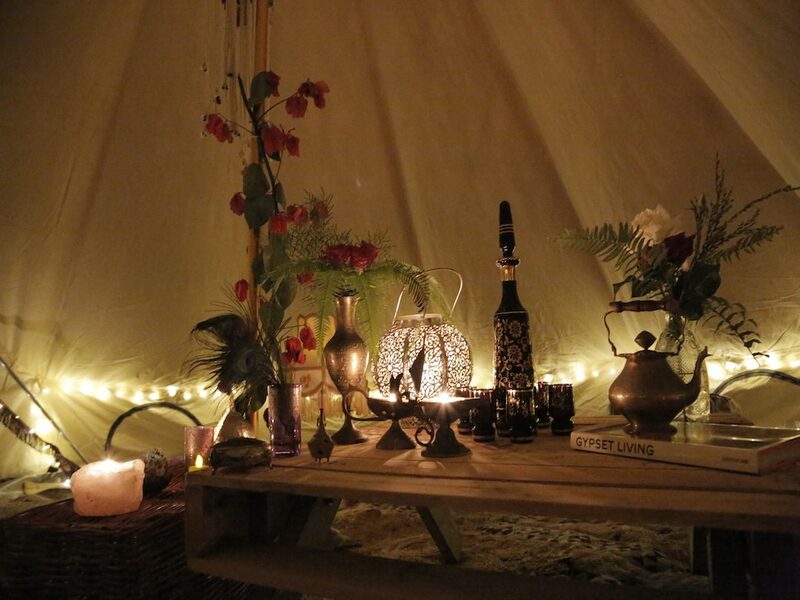 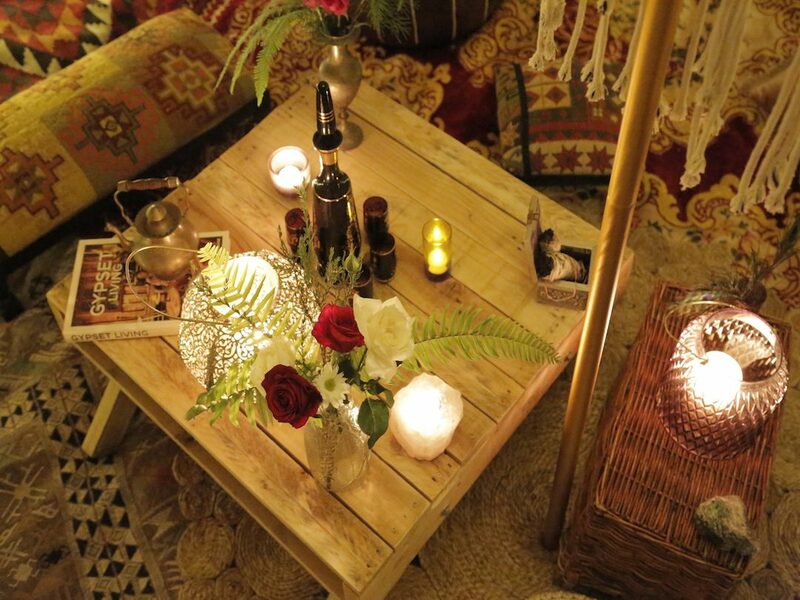 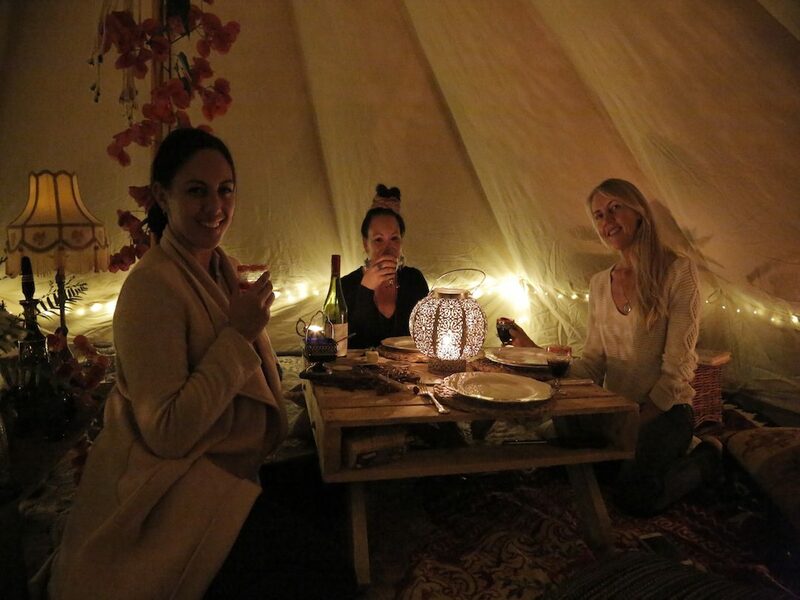 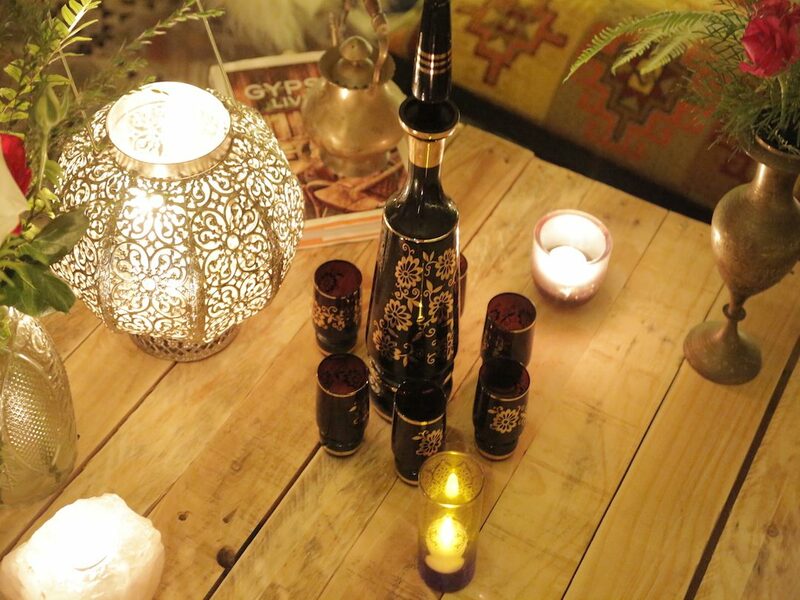 Klara’s House was booked for this gorgeous girly dinner party for 4 special friends relishing under the beauty of a her signature Moroccan themed luxury Belle Tent. 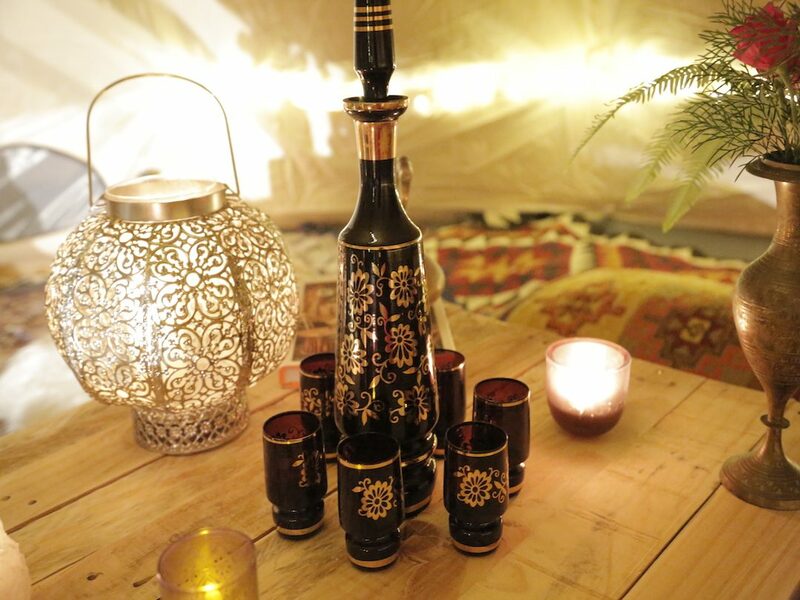 All signature pieces were used for her including her most prized Moroccan berber kilim rugs, Moroccan leather pouffs, Turkish stools, fairy lights, lanterns and morrocan style glassware. 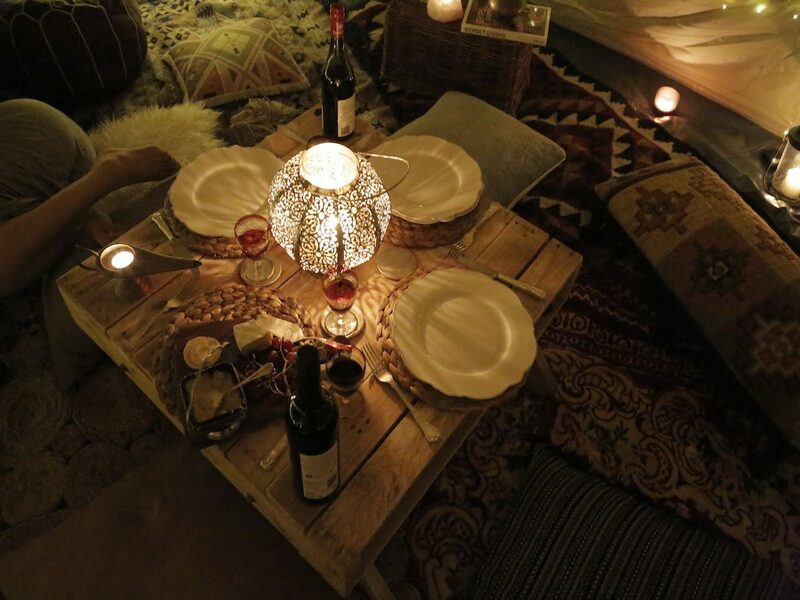 The girls ordered uber eats and giggled the night away drinking red wine and listening to belly dancing music. 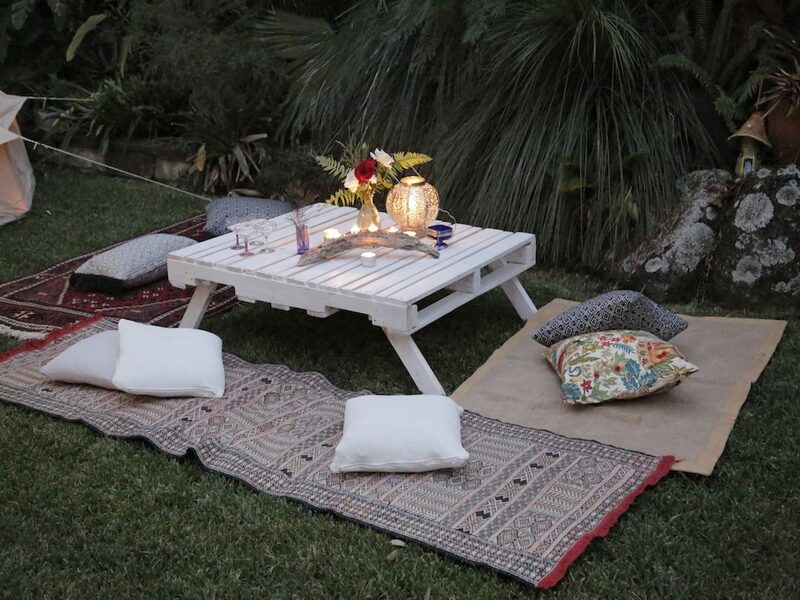 Who needs to eat out when you have this magic in your back yard. 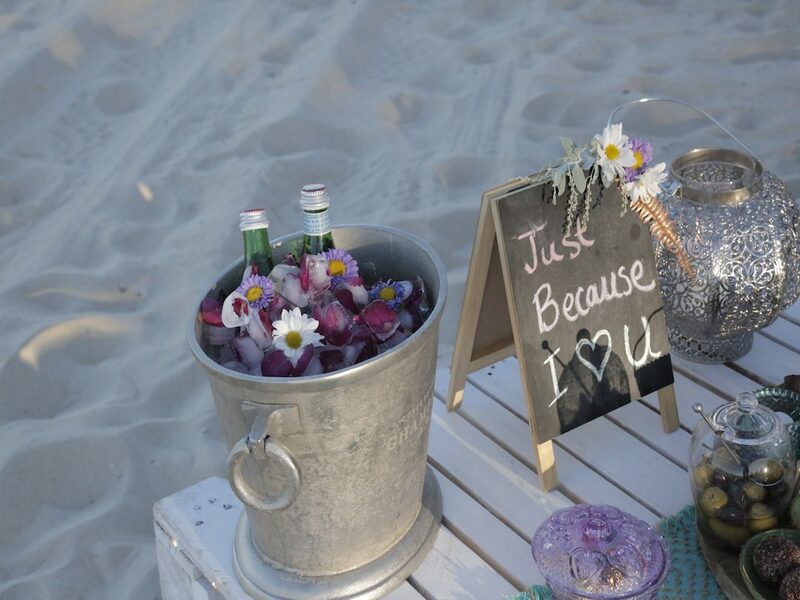 Thanks for booking me ladies I had a blast setting this up. 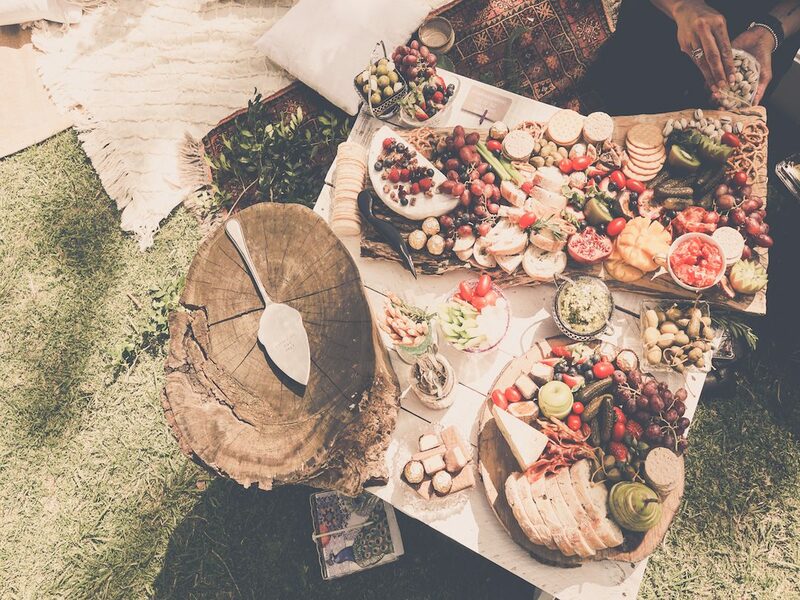 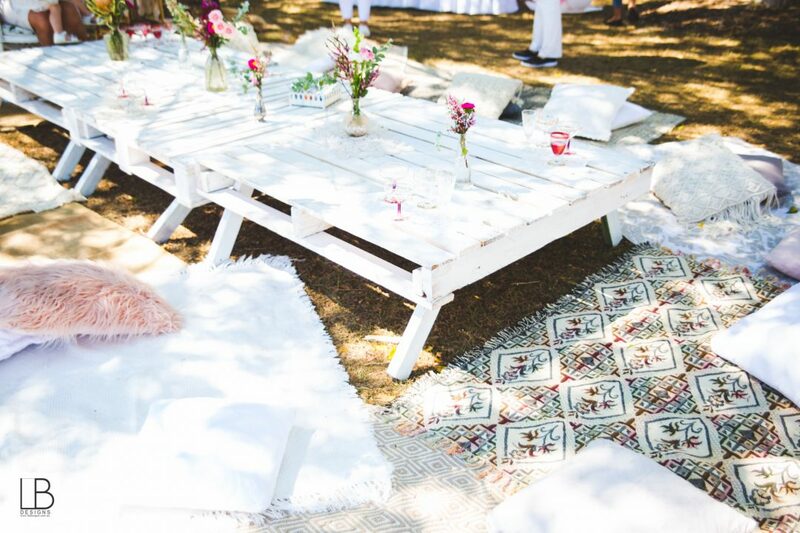 I had the privilege of styling this boho themed picnic for the stunning bride to be Beck and her Irish babes. 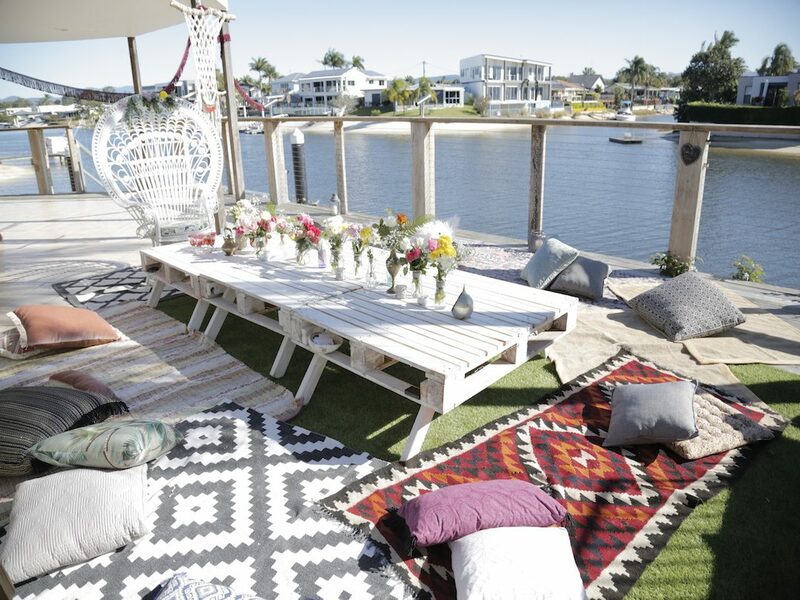 Set up with the amazing back drop of the Broadbeach canal, Klara’s House styled up a storm using her most gorgeous bohemian collection including the temple goddess Morrocan rug, Natasha the shabby chic rug and a selection of pastel feminine neutral cushions as well as my signature hand made designer cushion fabric selection. 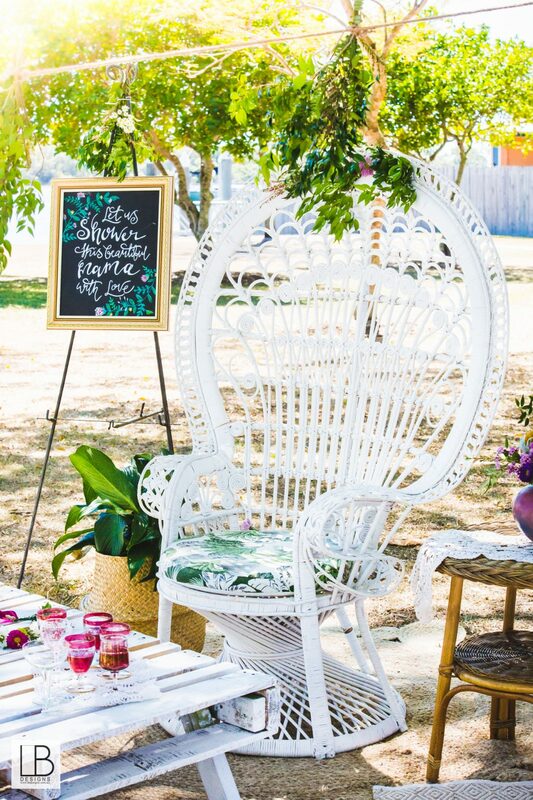 The Queen Bee peacock chair was also used decorated with fresh florals. 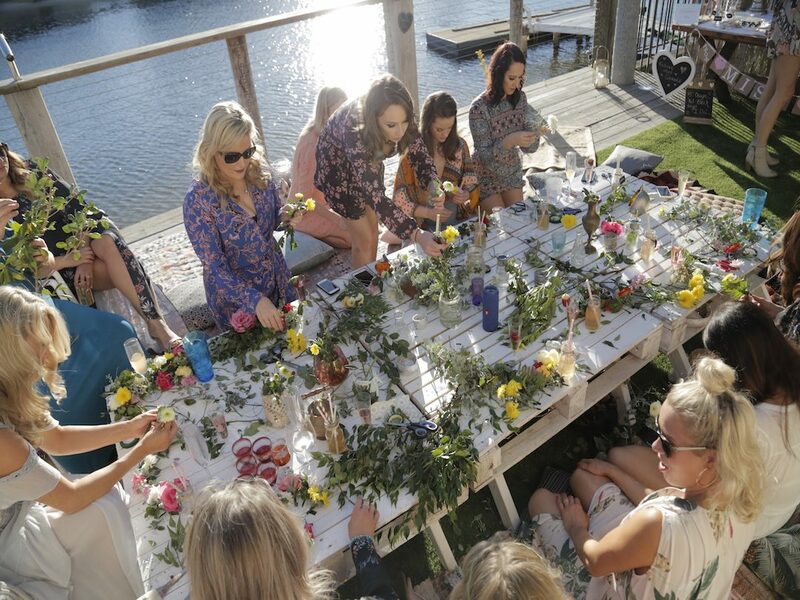 The girls crafted the afternoon away with one of Klara’s House signature flower crown classes. 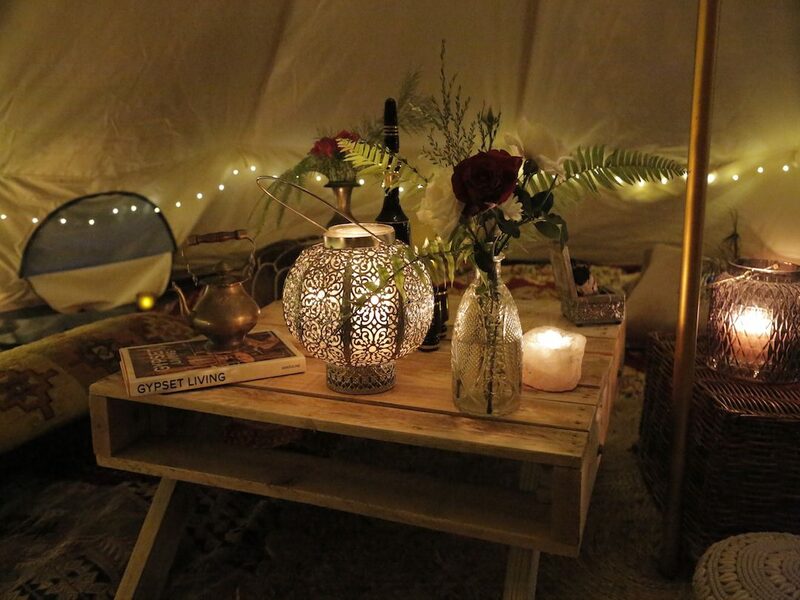 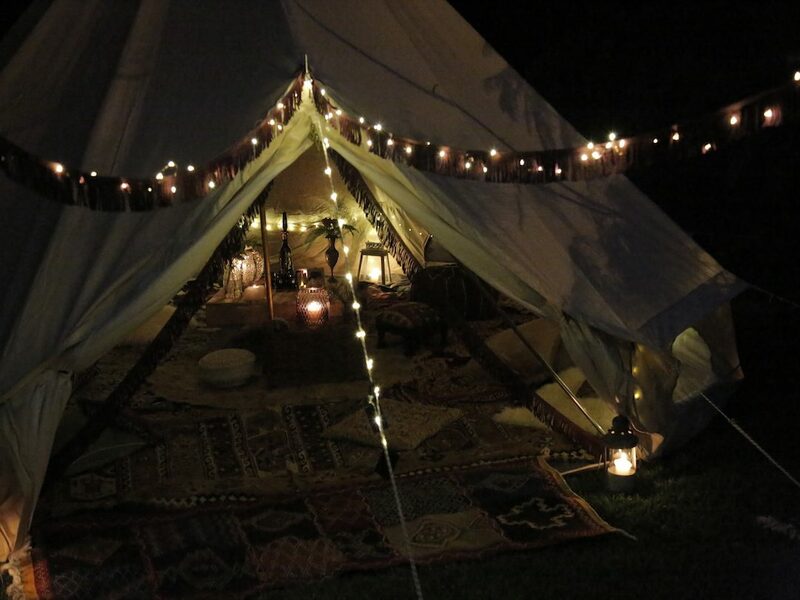 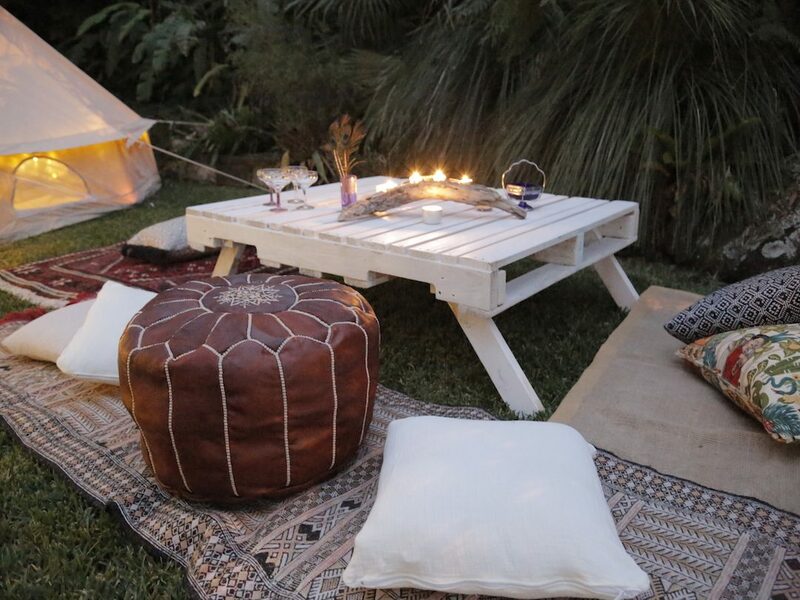 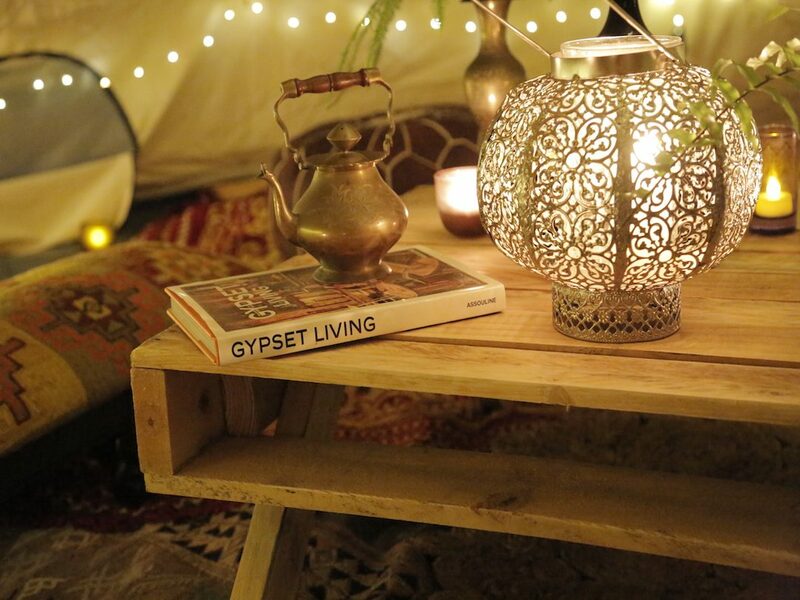 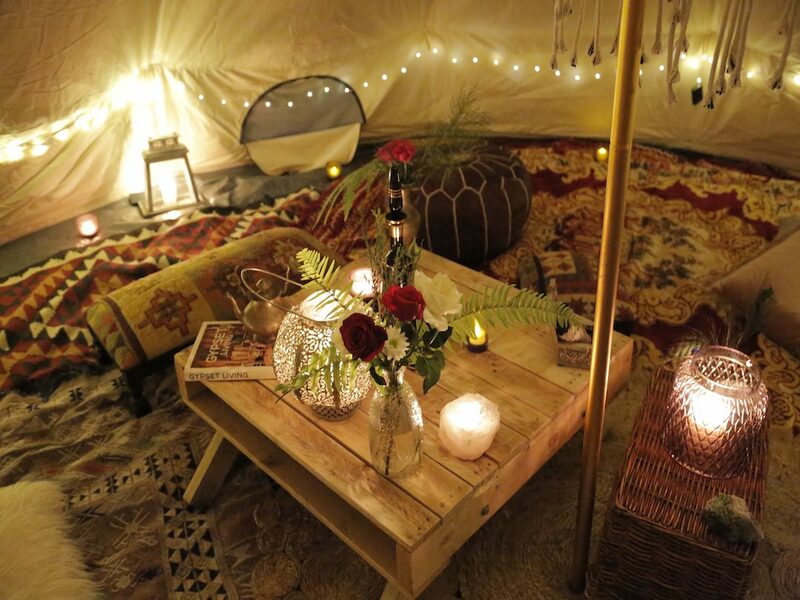 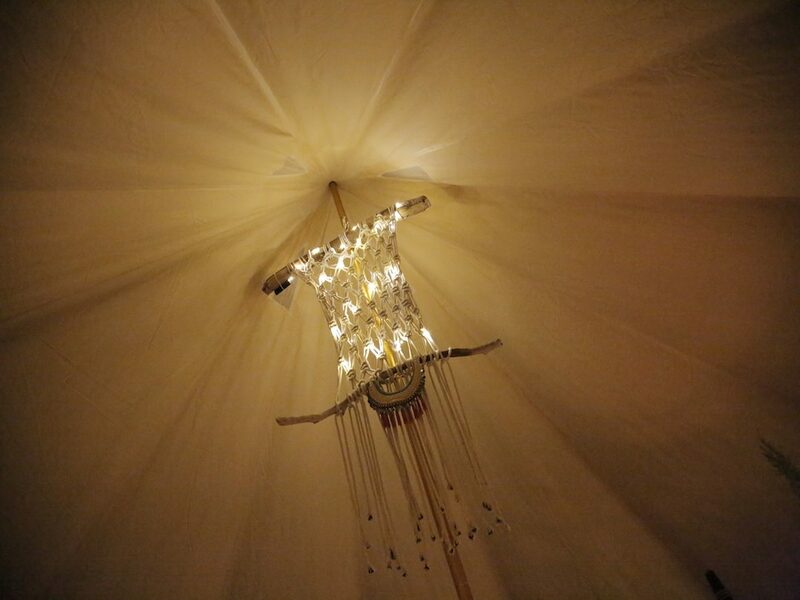 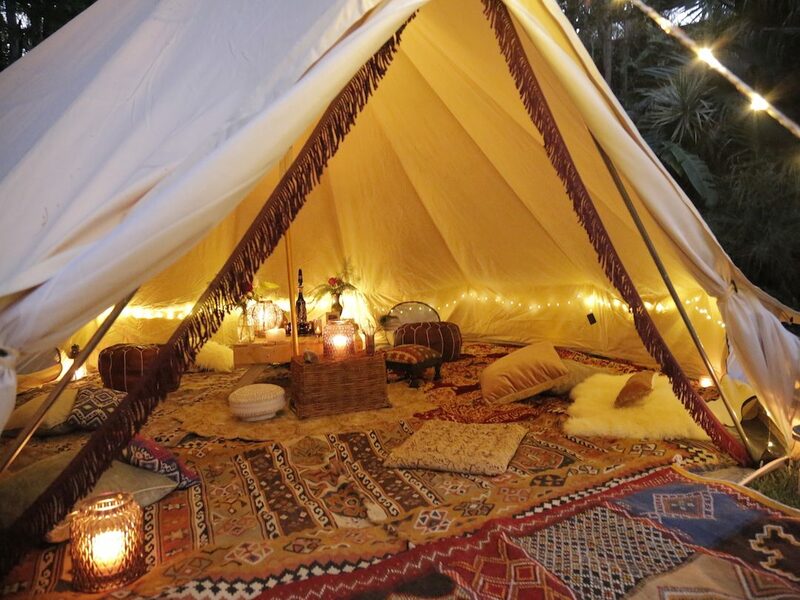 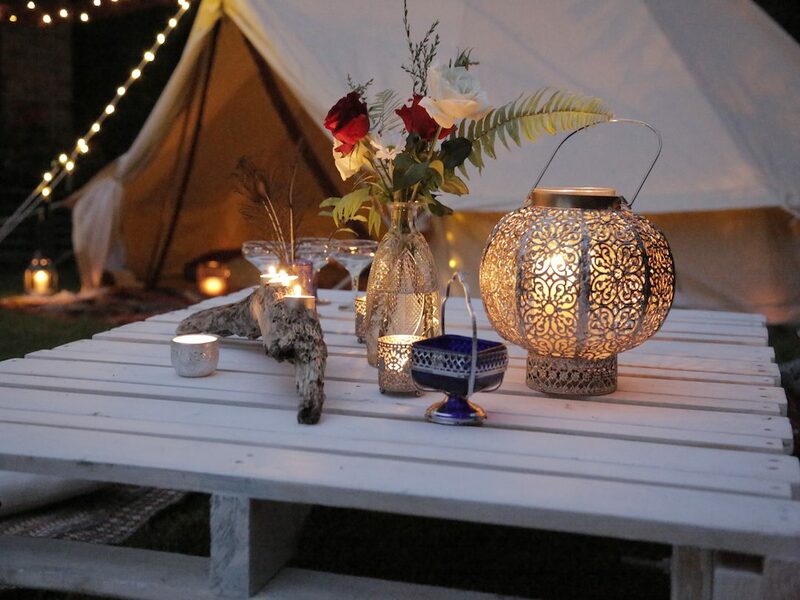 Boho fringing, wall hangings , fairy lights and candles were also used for the perfect twilight evening while the girls watched a slide show of pics and drank bubbles and giggled the evening away. 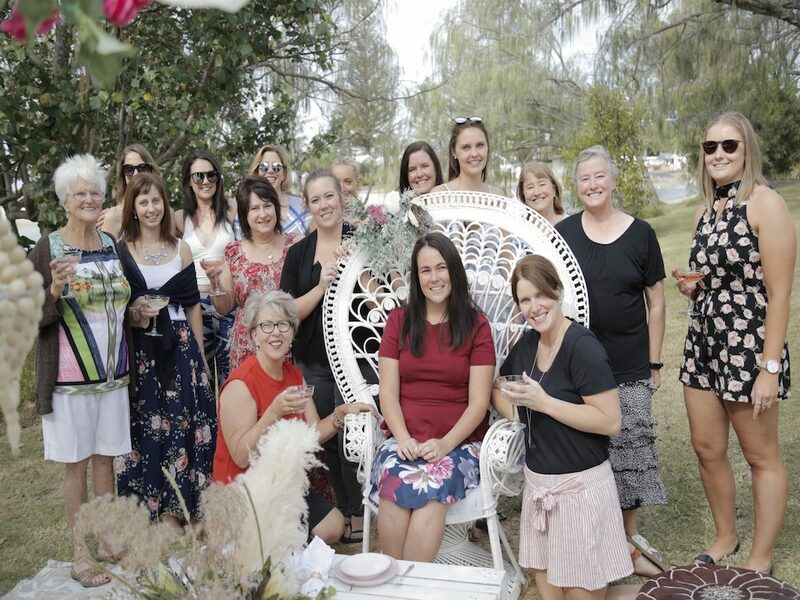 Hens done right as far as I’m concerned. 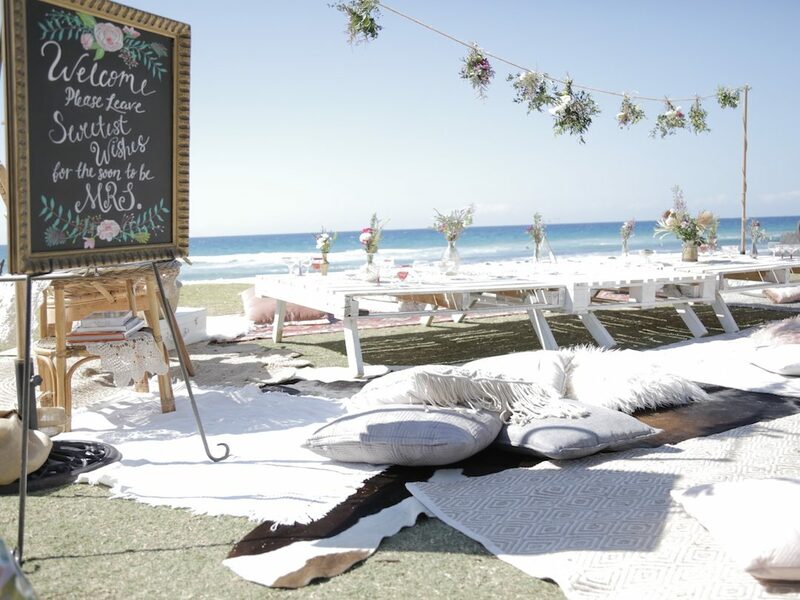 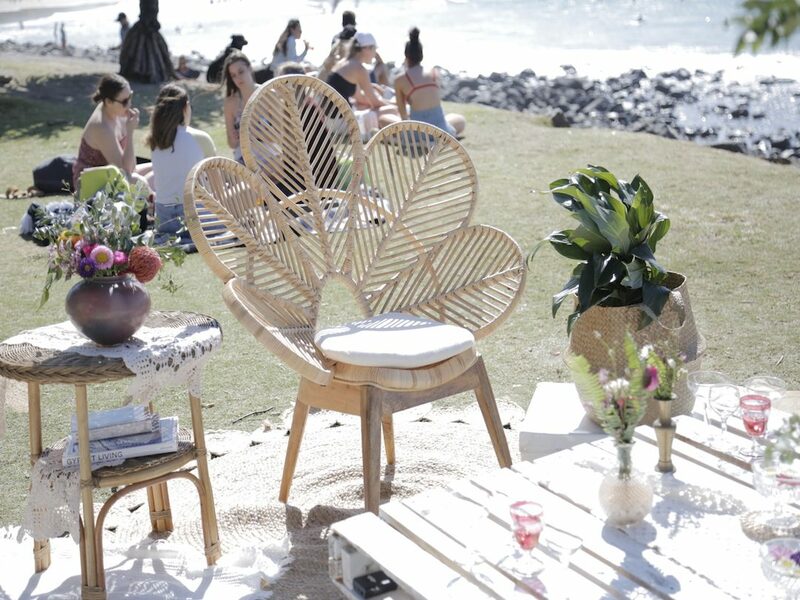 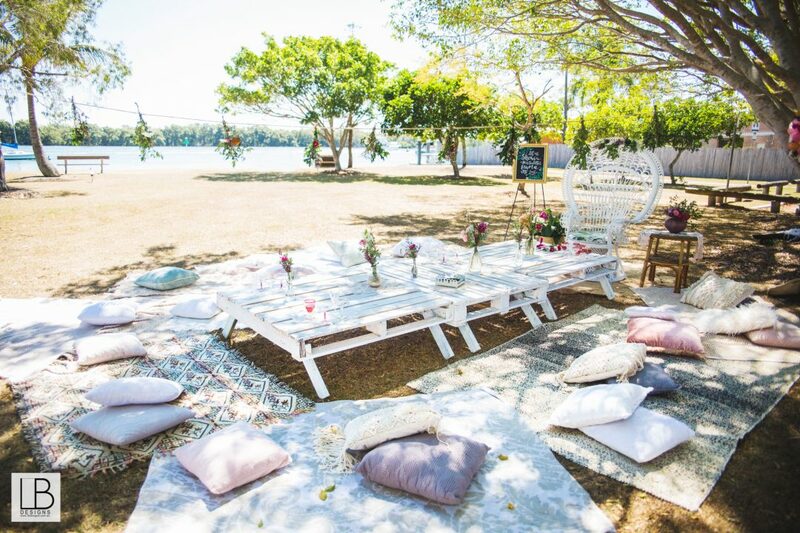 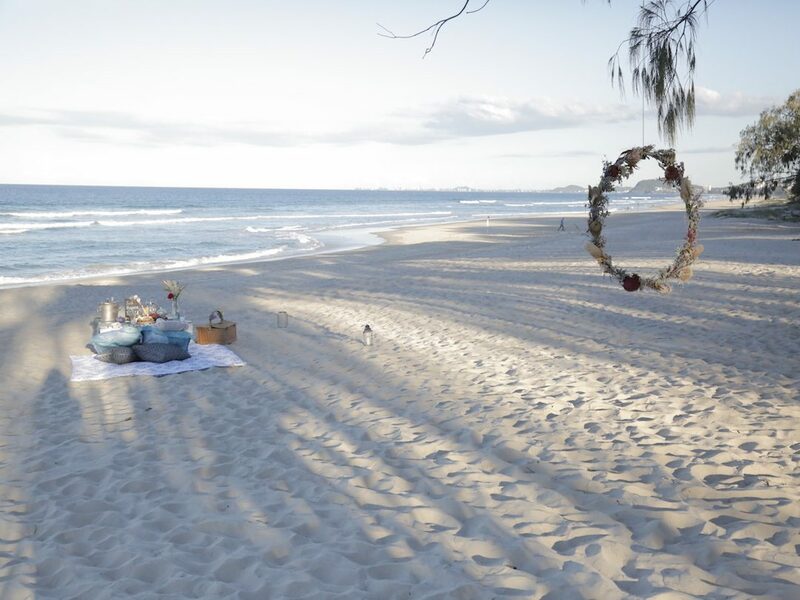 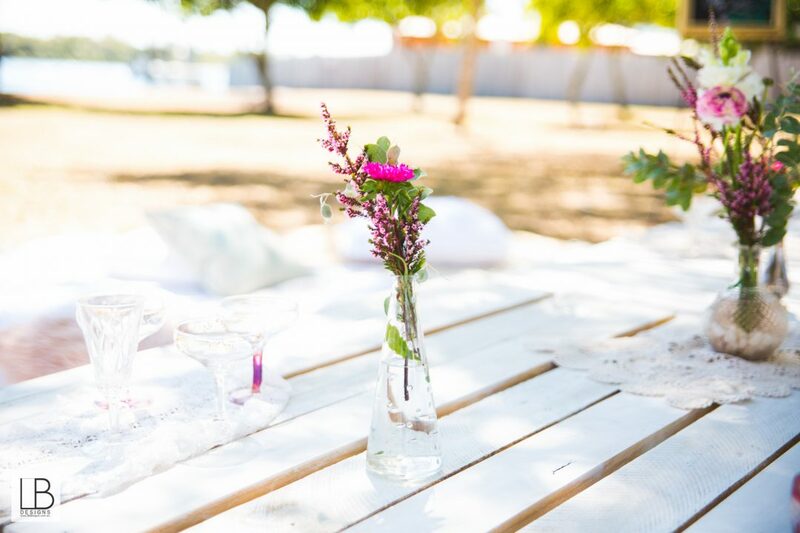 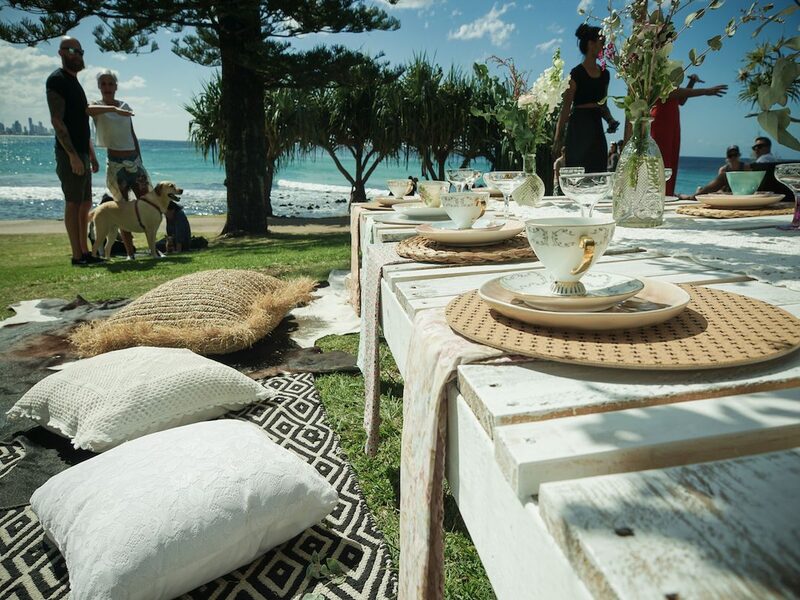 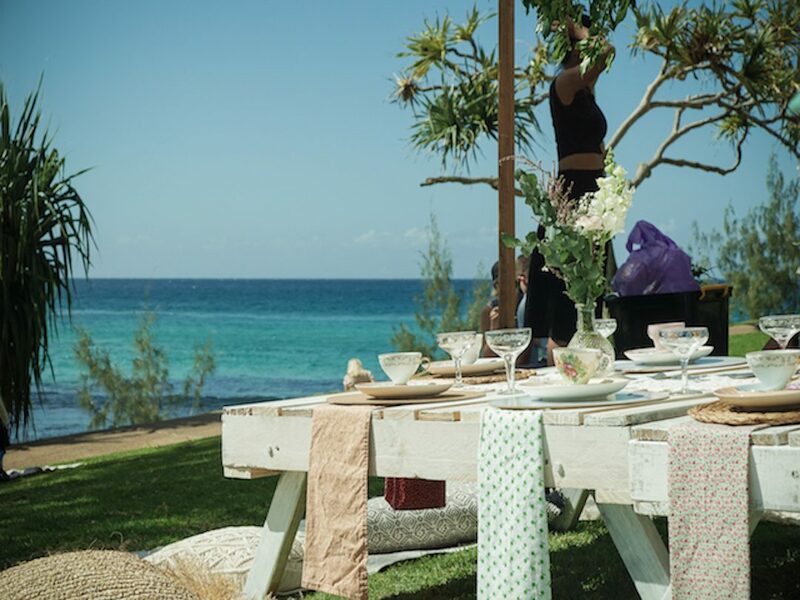 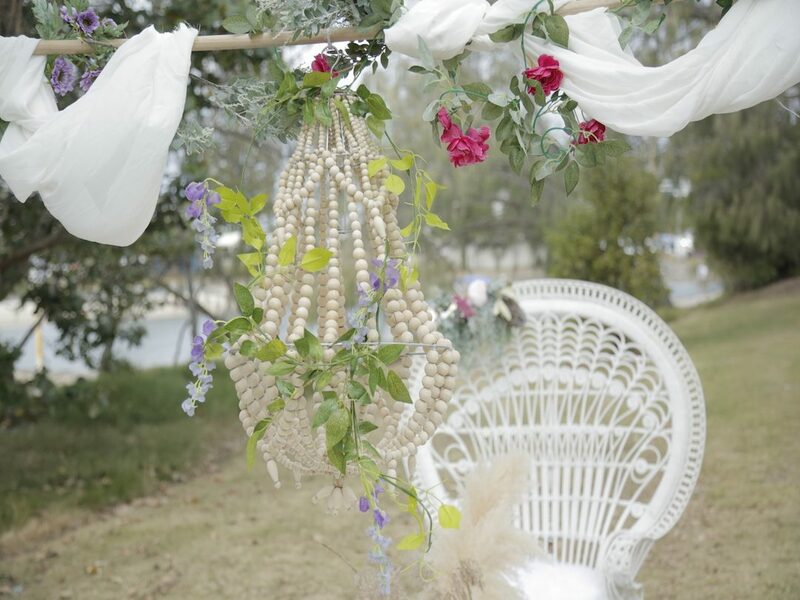 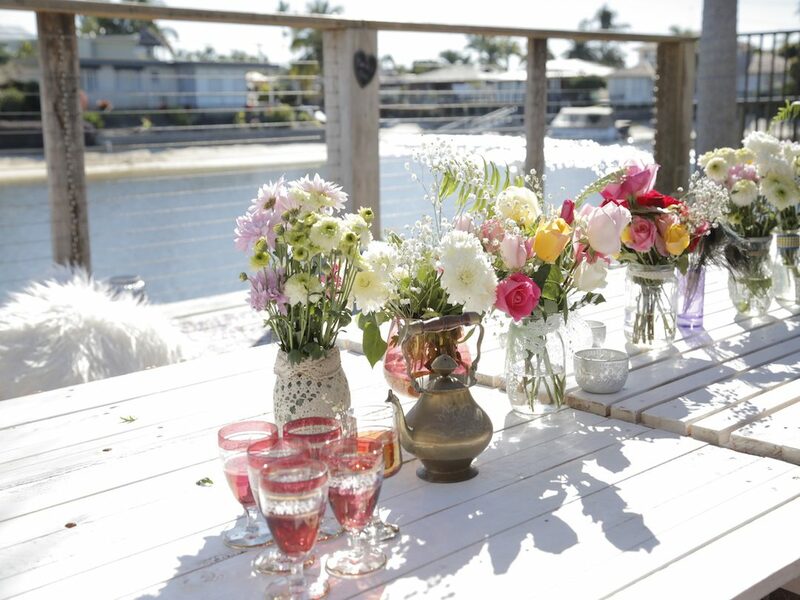 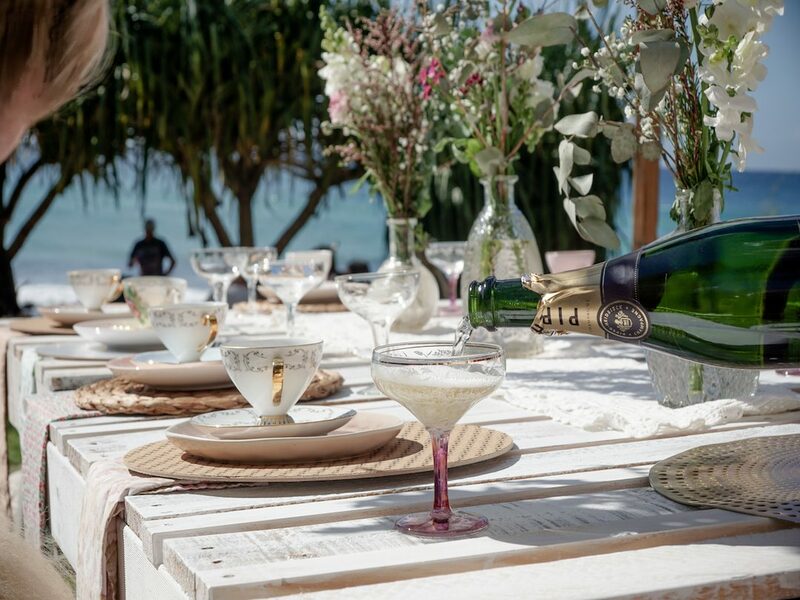 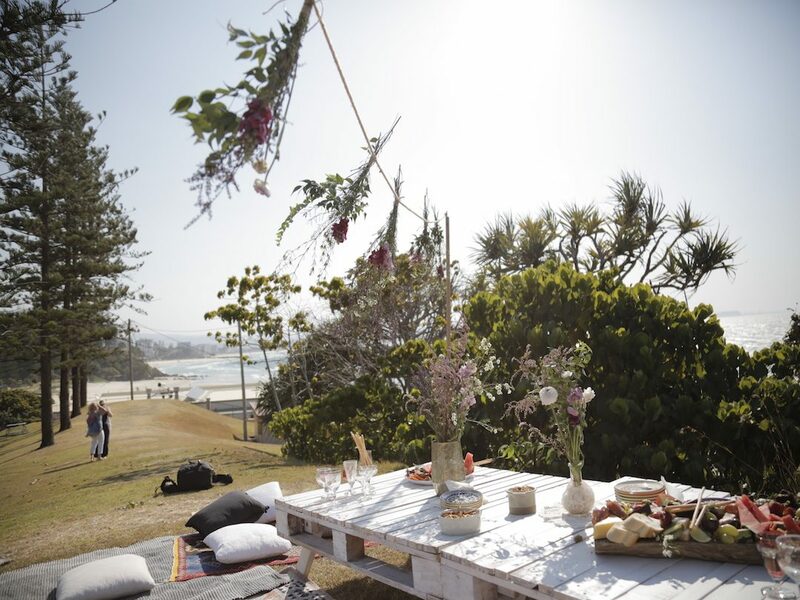 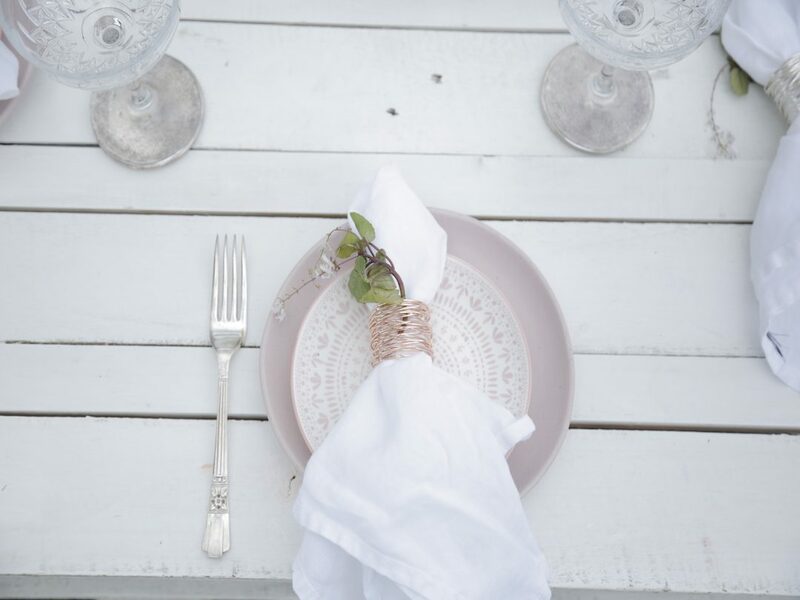 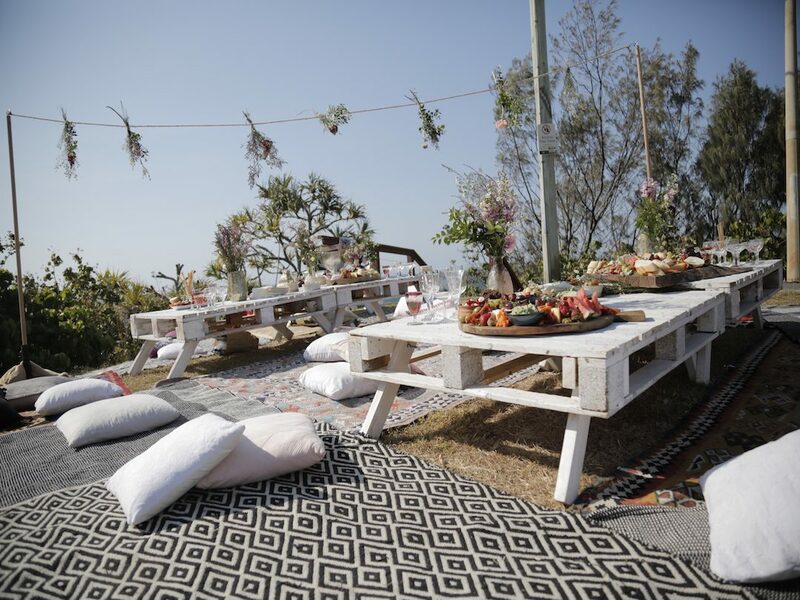 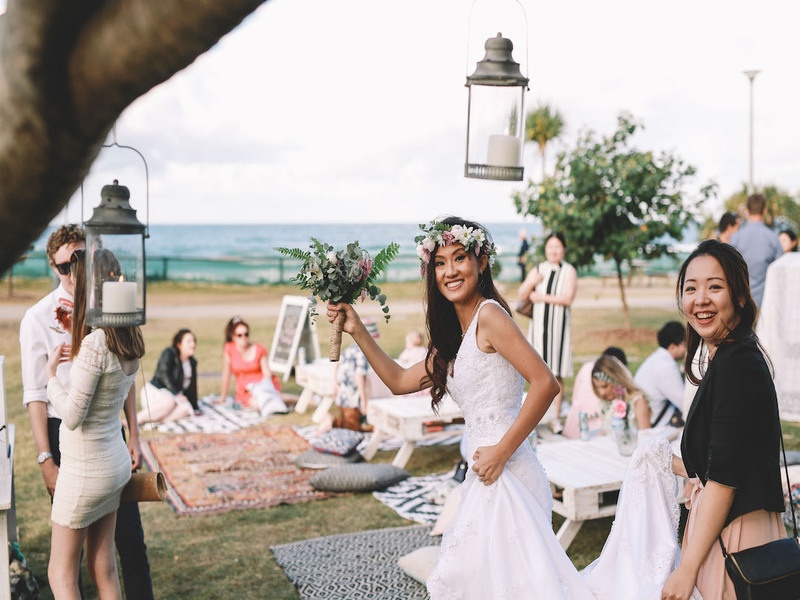 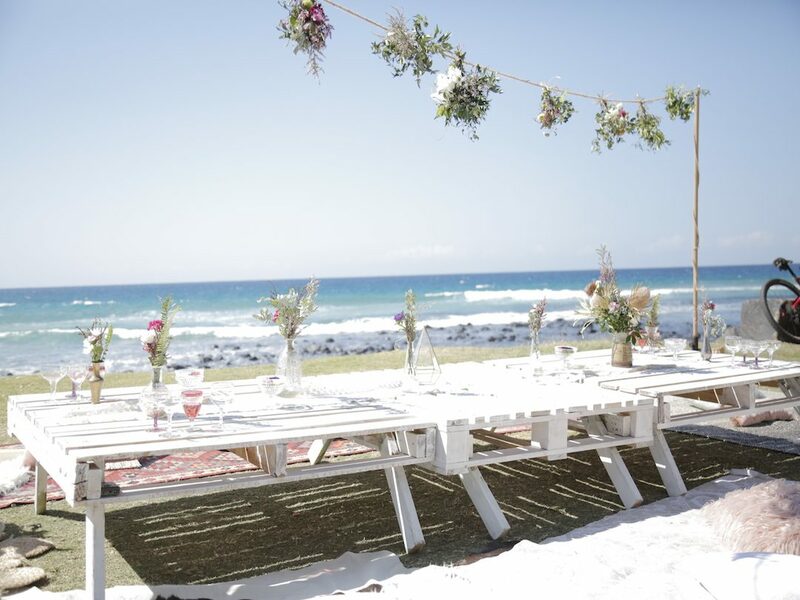 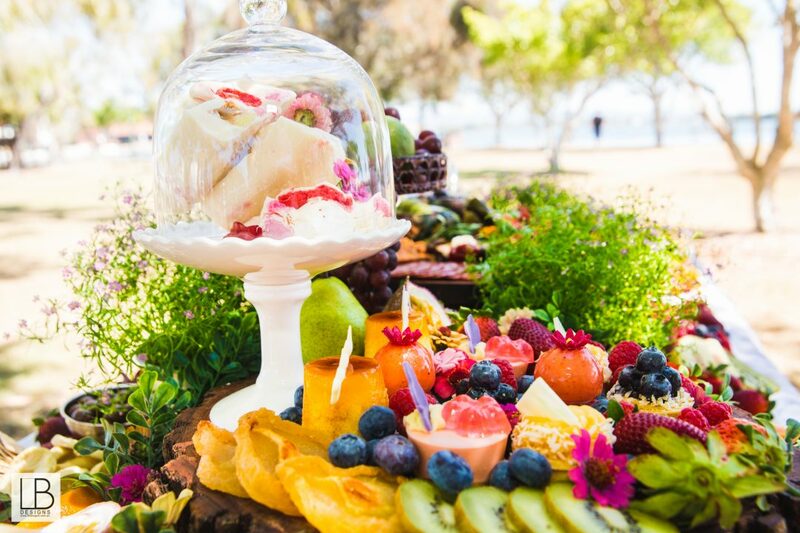 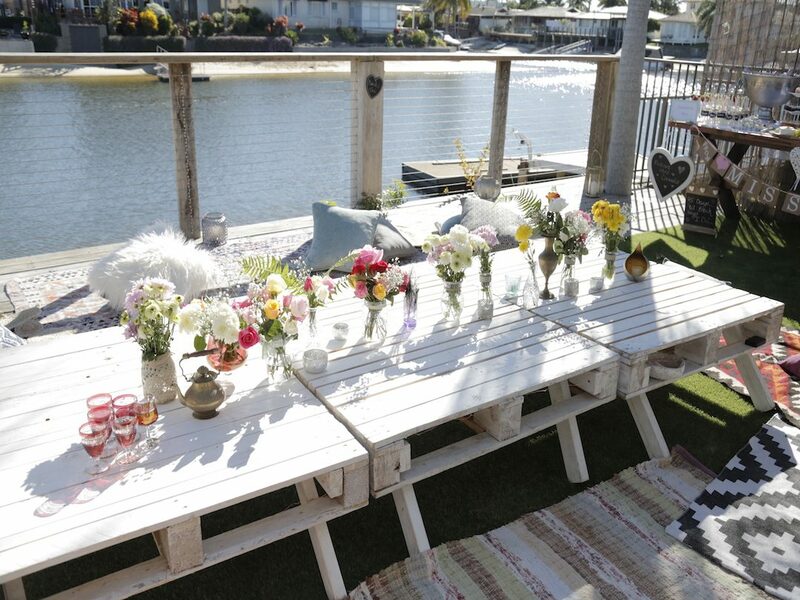 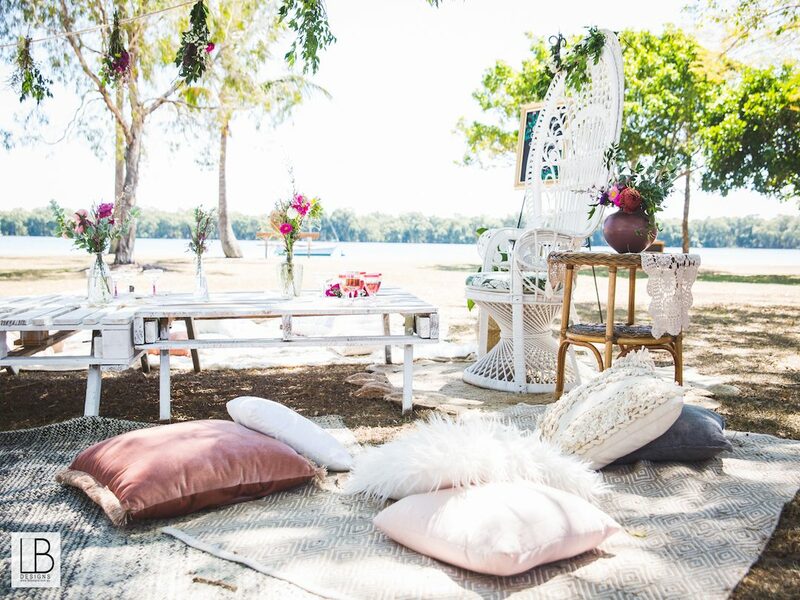 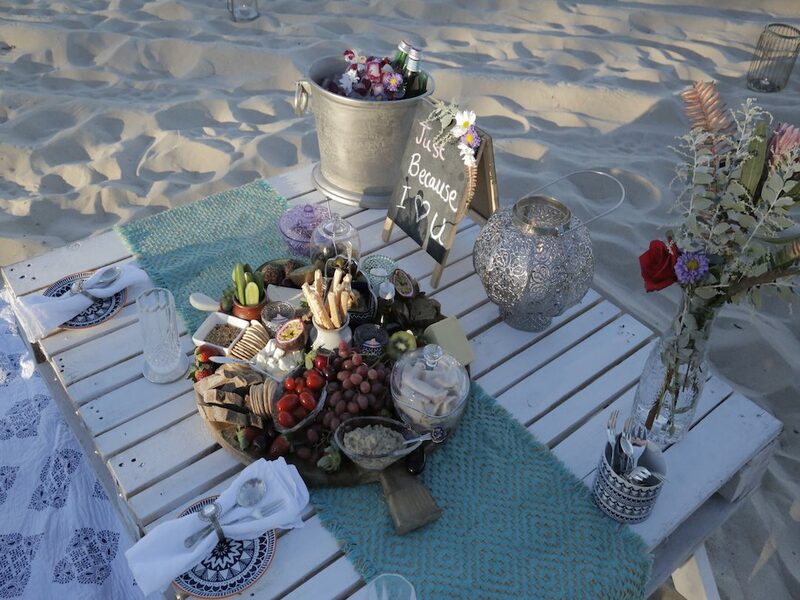 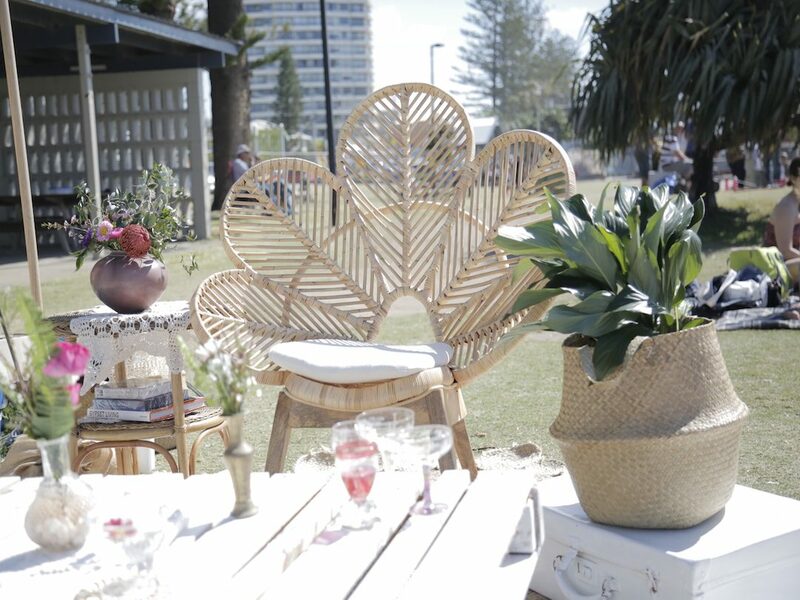 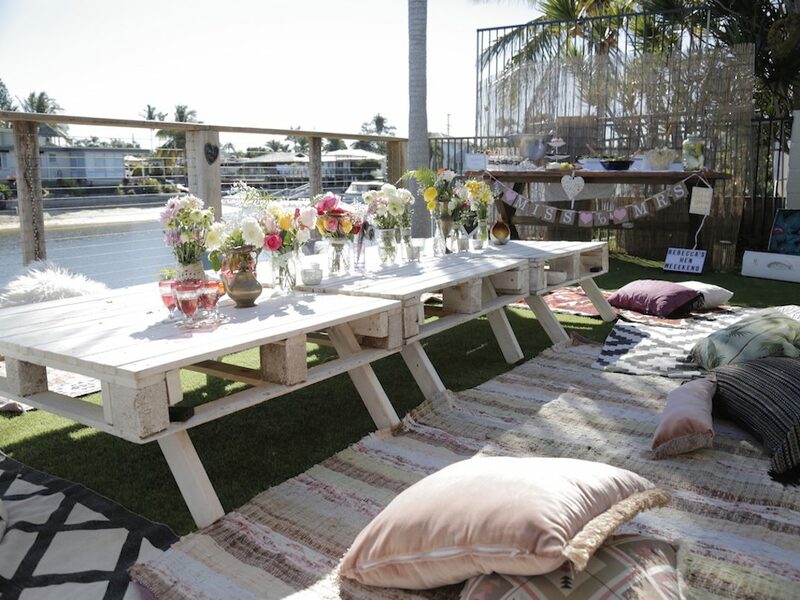 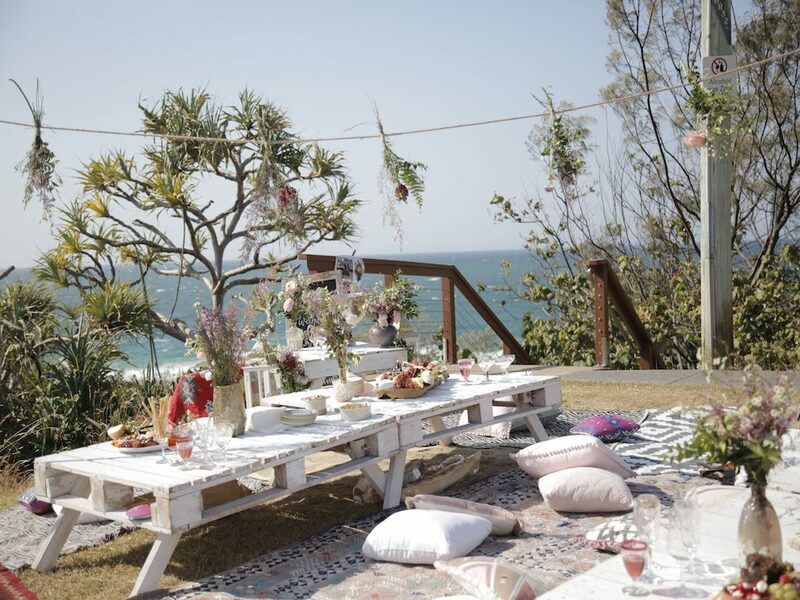 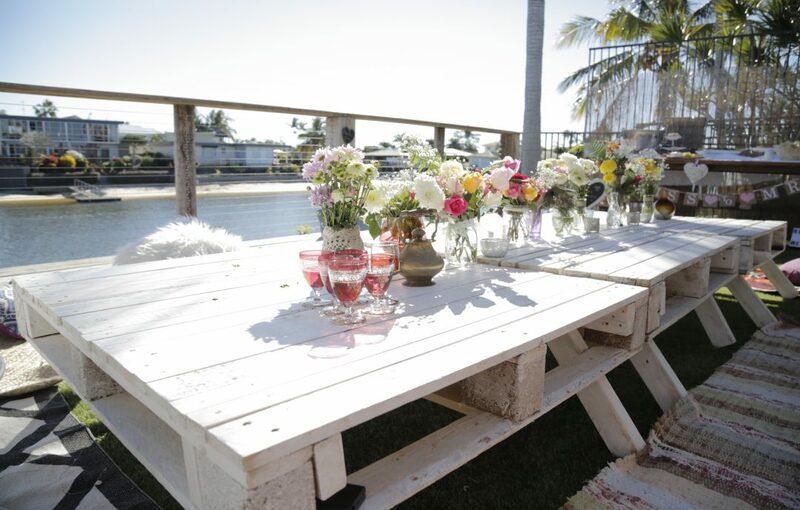 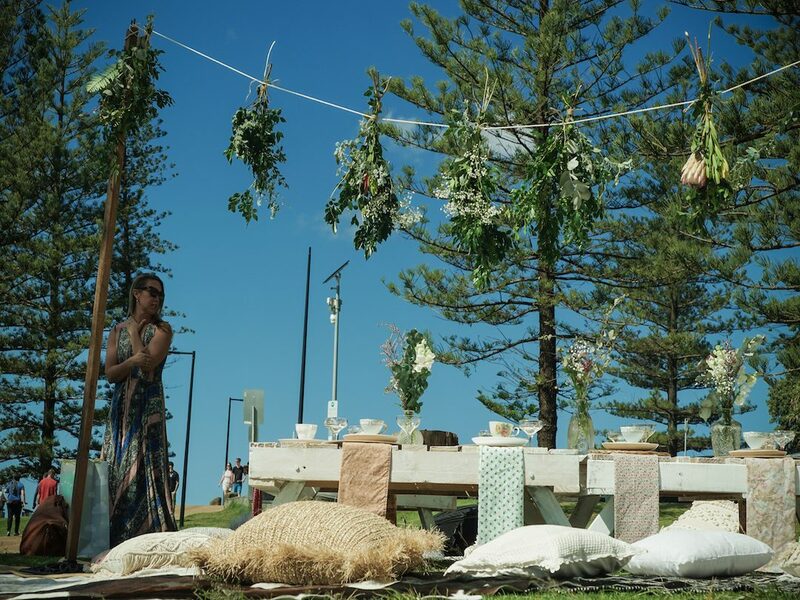 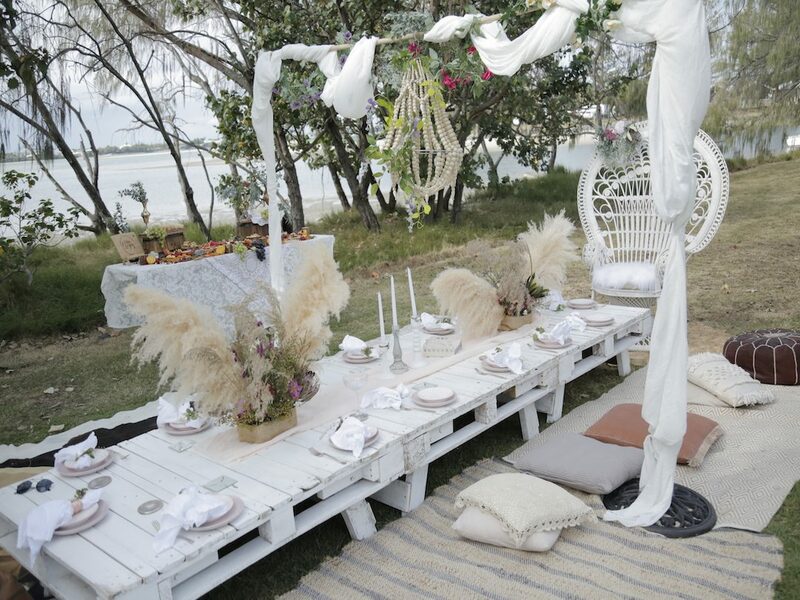 Klara's House recently got to customise a set up for a Bohemian Bride and Groom for their bespoke beach picnic wedding at Miami, Gold Coast. 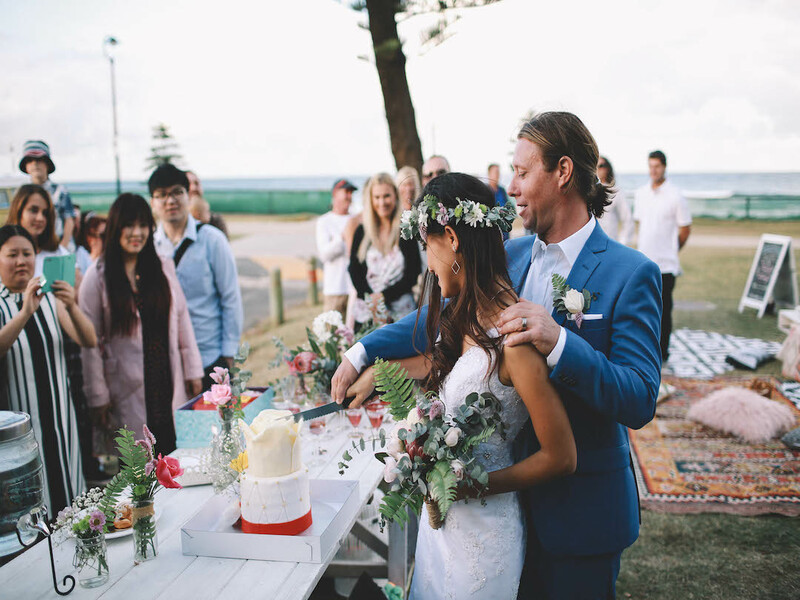 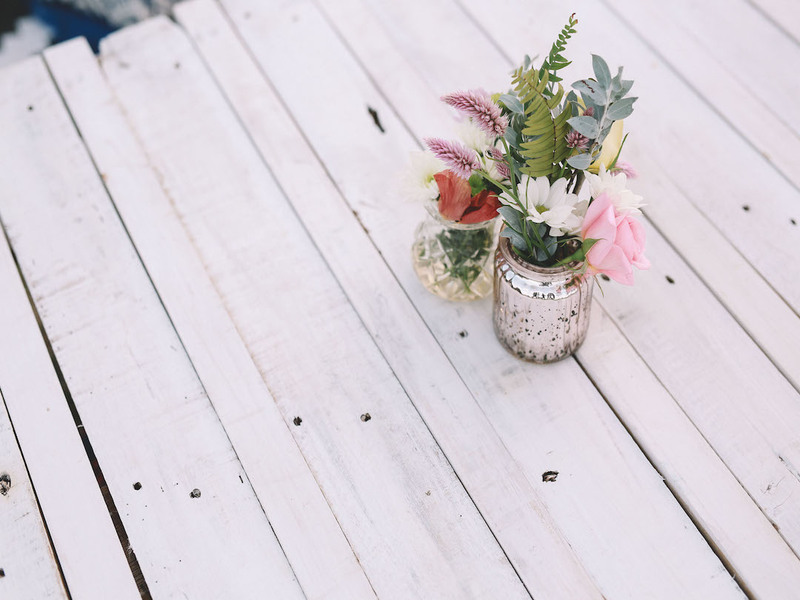 We were pretty lucky in that we had so much freedom on the styling and got to create our very first pop up wedding on the Gold Coast. 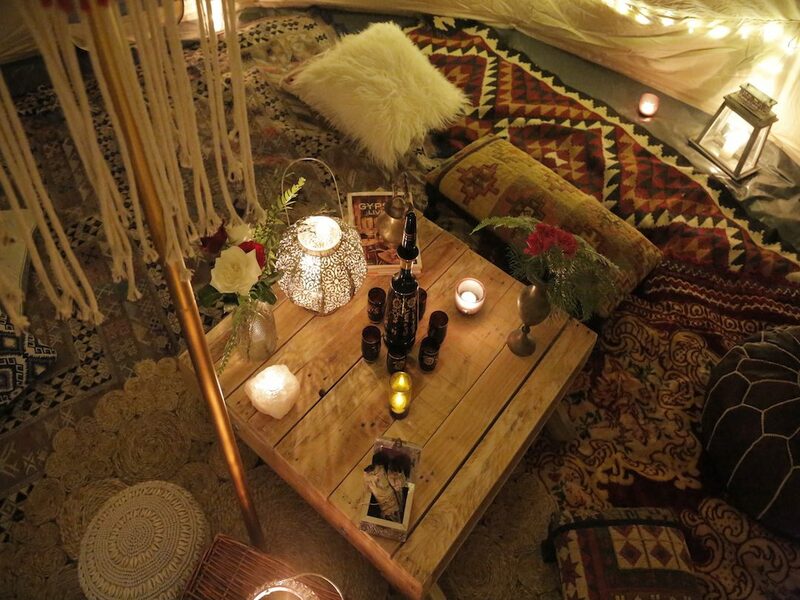 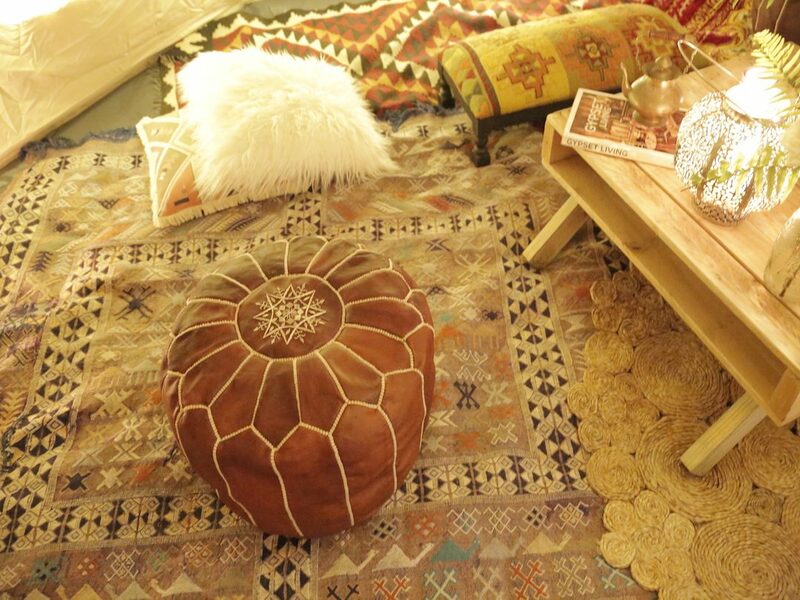 We used layers of rugs and cushions and incorporated a mix of Moroccan rugs and bohemian style textures. 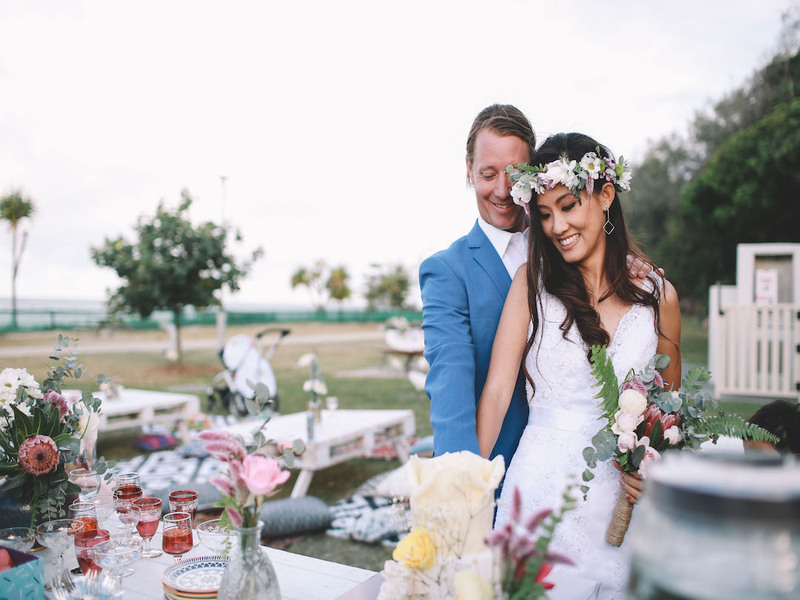 Bush flowers, fragrant roses and greenery were our statement florals with a mixture of native grasses to add to the bridal bouquet, flower crown and boutonnière. 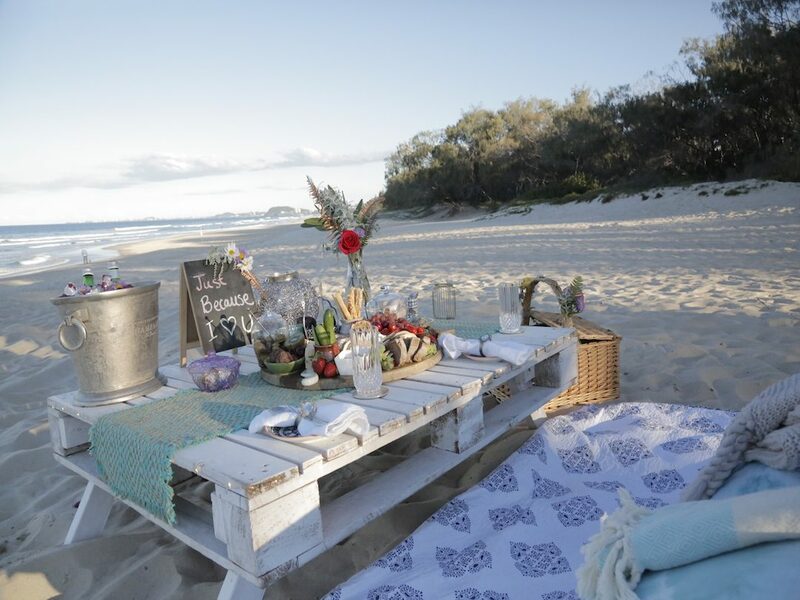 Klara was fortunate to land a celebrity picnic for the famous fitness babe Ashy Bines and her hubby Steve. 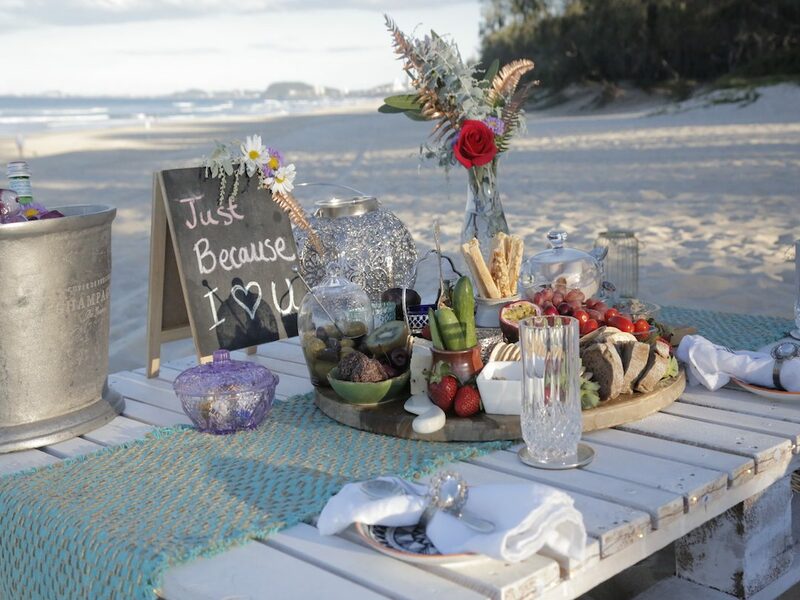 Ashy booked Klara for a date night for her and Steve to take some time out of their busy lives and relish in this magical romantic set up on the Gold Coast. 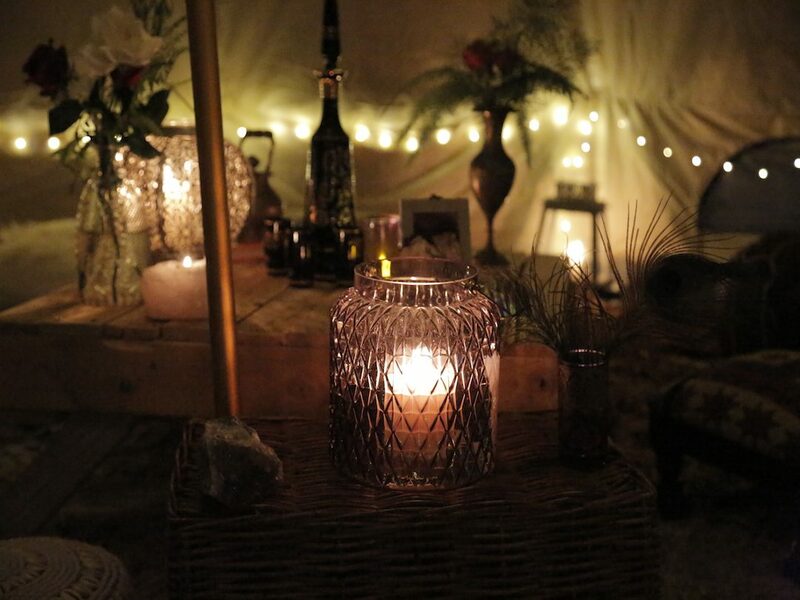 What a special night basking under the candlelit moonlight for this gorgeous couple.